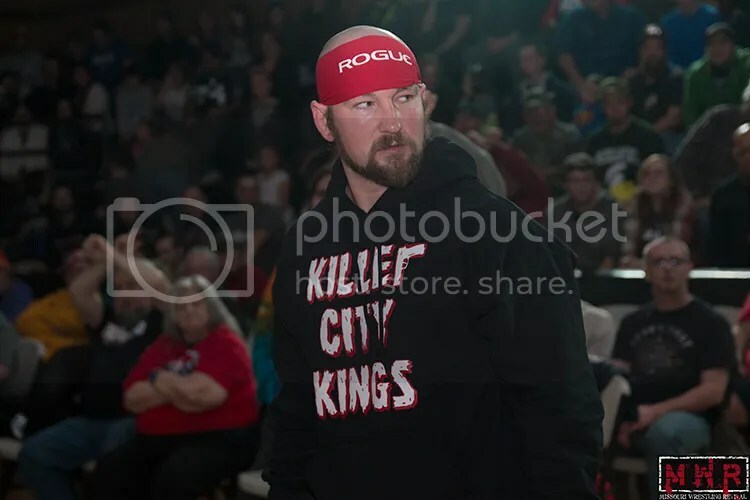 NWL KC has been heating up with action that has left the fans wanting more. 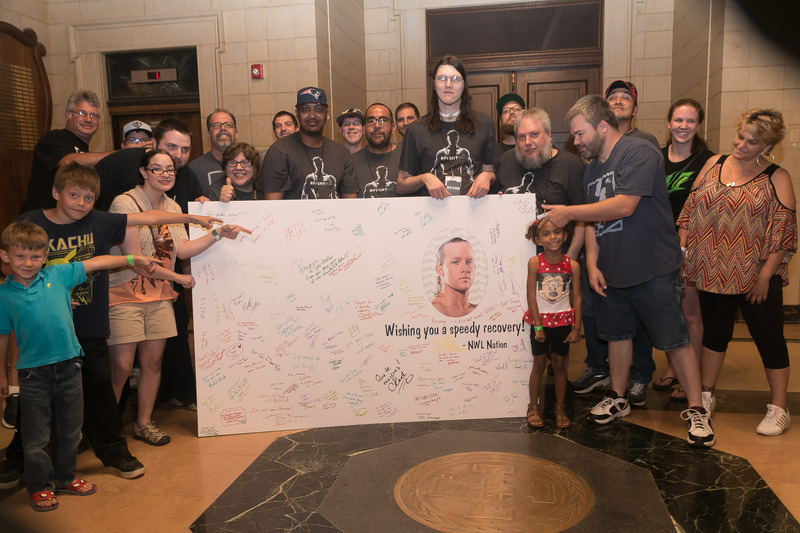 Their hard work has paid off as the amount of fans that in the house keep growing, while sponsors are finding out that it is a wise investment to put their name on a product that is filled with hard working men and women that deliver a night of excitement unlike any other in the city. With a reward, though there is often a risk that comes along with it. 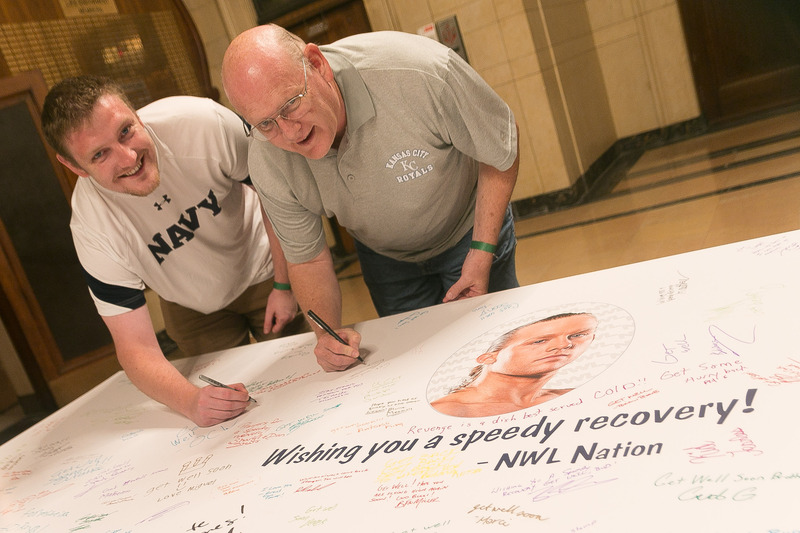 For the wrestlers’ young and old that means that anything can happen at any time. Unfortunately forJax and Jet (two of the most popular wrestlers in the Midwest) that risk is always there as they thrill the fans with their death defying, high flying exciting moves in and out of the ring against the likes of the Howlett’s, the Blood Brothers (or as they are now called the Besties in the World) as well as single matches against the menacing Jack Foster. 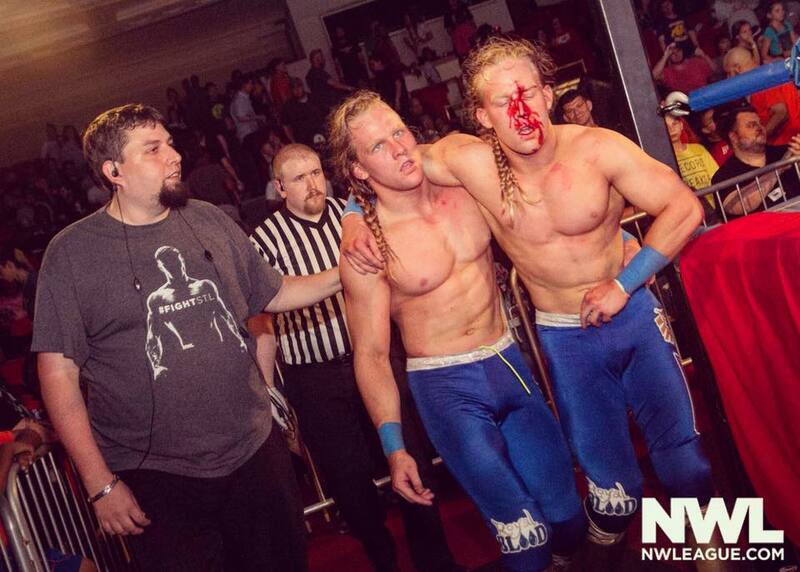 In June in an exciting matchup between the Blood Brothers, Jax Royal went down during a high risk move that would take out his knee. 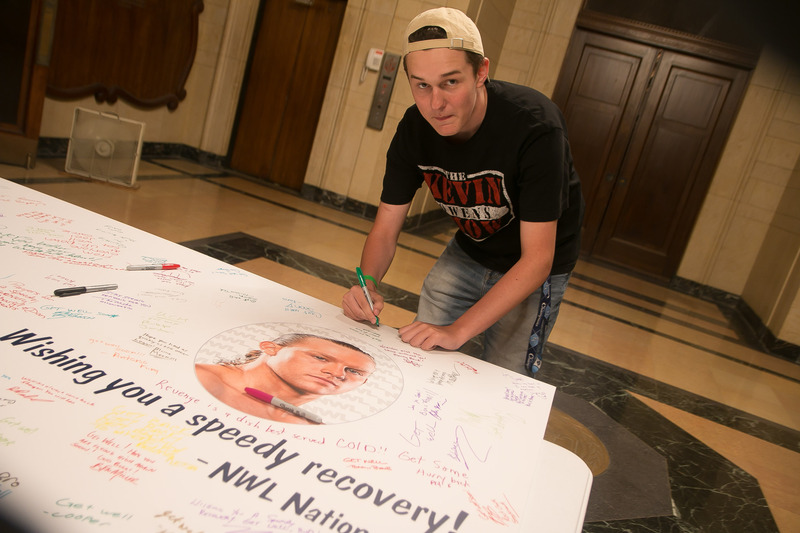 Thankfully all reports out of the NWL camp is that the surgery was a success and Jax will be back in 4-6 months. 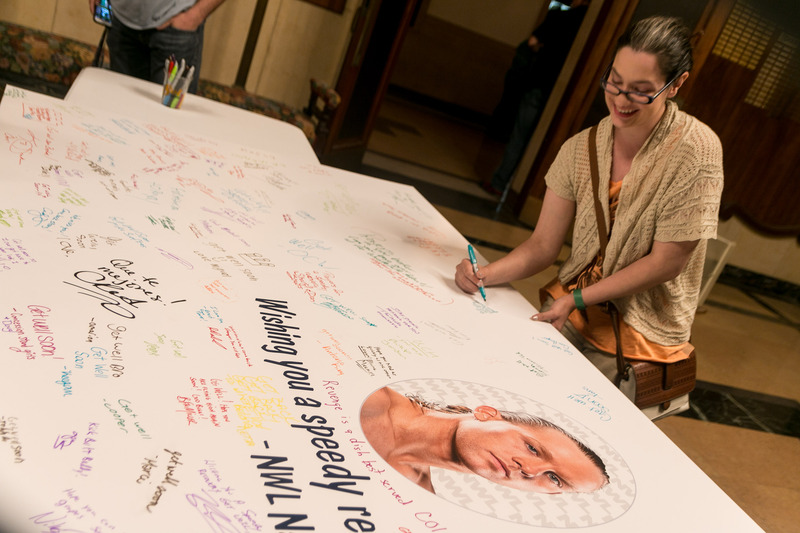 Though life goes on and the action continues as the NWL looks to go on tour this summer, the fans hearts still have been with Jax and during the NWL KC event at the end of June, the fans gathered to sign a giant get well card for Jax as they entered the Scottish Rite Temple and during intermission. 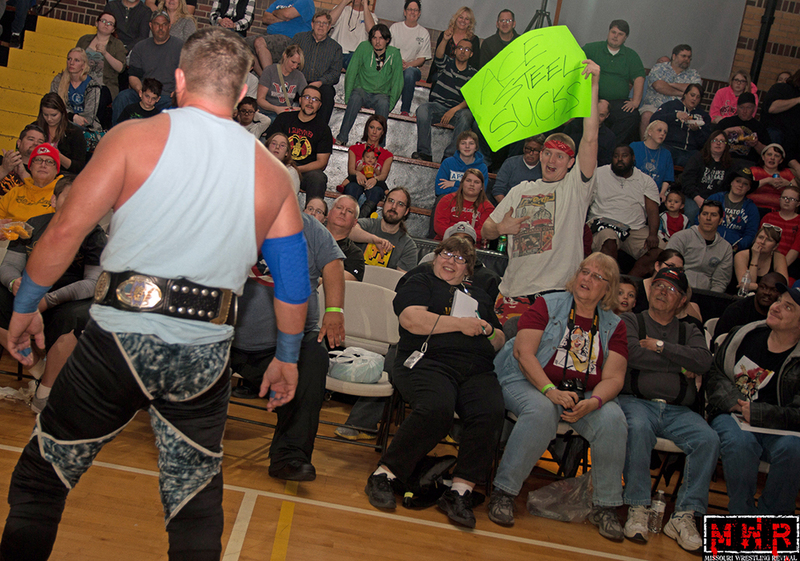 MWR was on hand to capture the fans sending their love and best wishes for the Jax Royal. Wrestle Talk Podcast’s very own Rene Martinez is always sending good vibes to the men and women in the Midwest each week with his show. 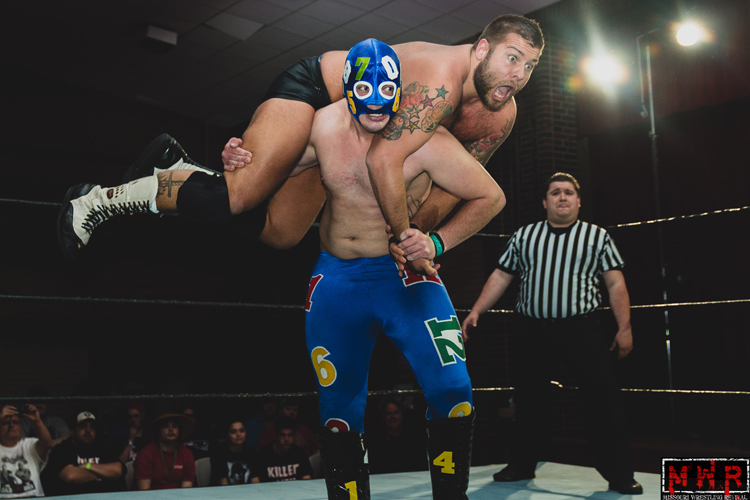 NWL announcer Ben Simon takes the time to send some best wishes the way to Jax Royal. 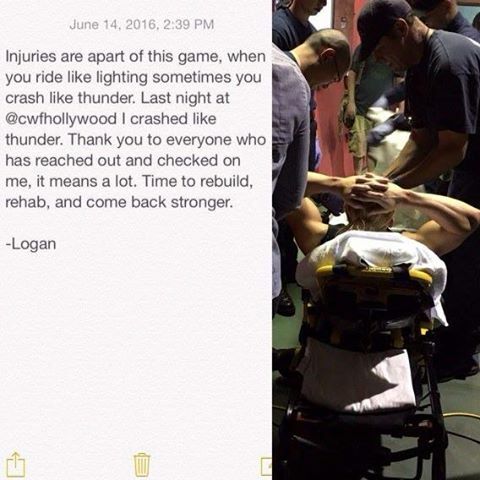 Missouri Wrestling Revival would like to wish Logan Riegel a speedy recovery from an injury that happen this past weekend. 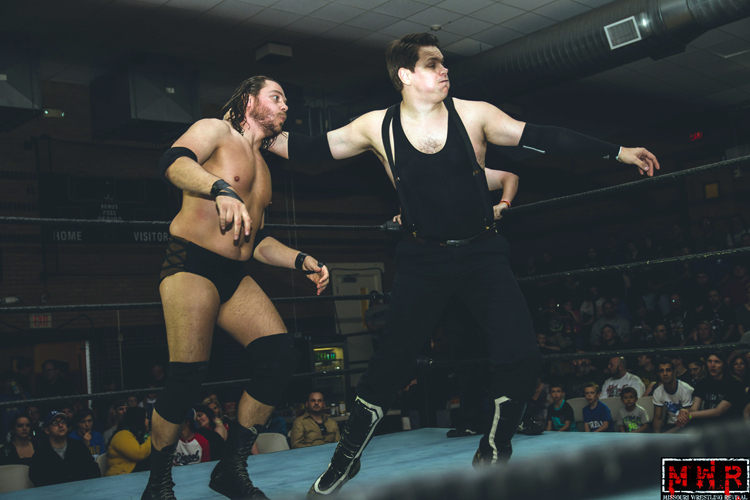 Logan and his brother Sterling has been on fire in 2016 delivering exciting matches while becoming one of the top tag teams in the country. 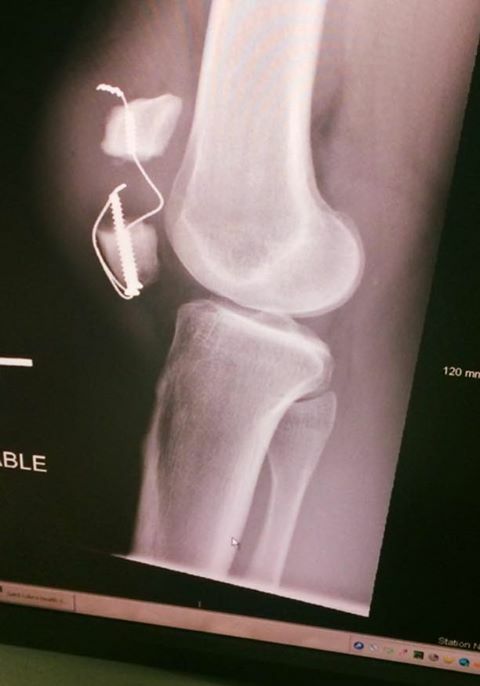 To fill everyone in…I suffered a knee injury on Saturday night in Hollywood. 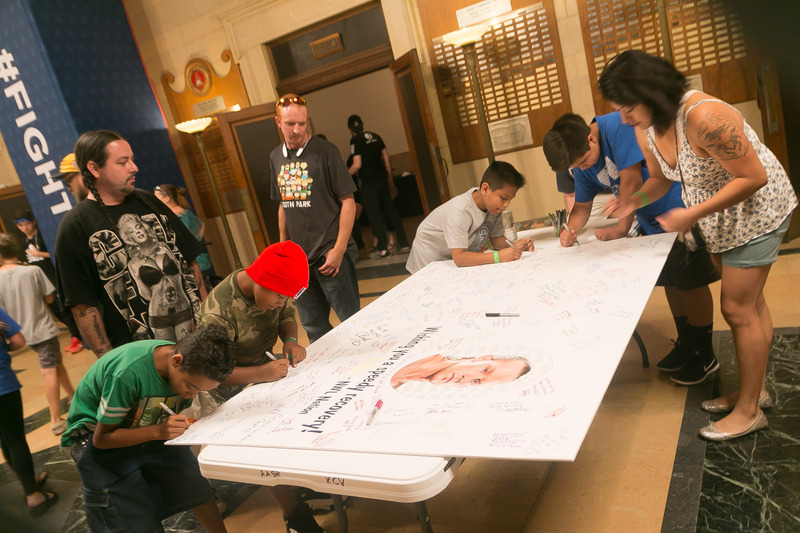 We are overwhelmed by the support we are receiving form everybody. 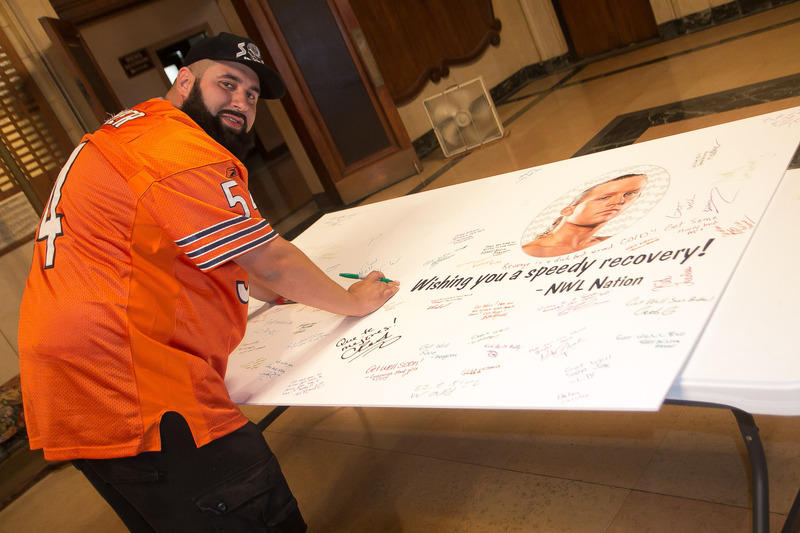 The recovery time is around 6 months after surgery. Time rebuild, rehab, and come back stronger and BETTER than ever. 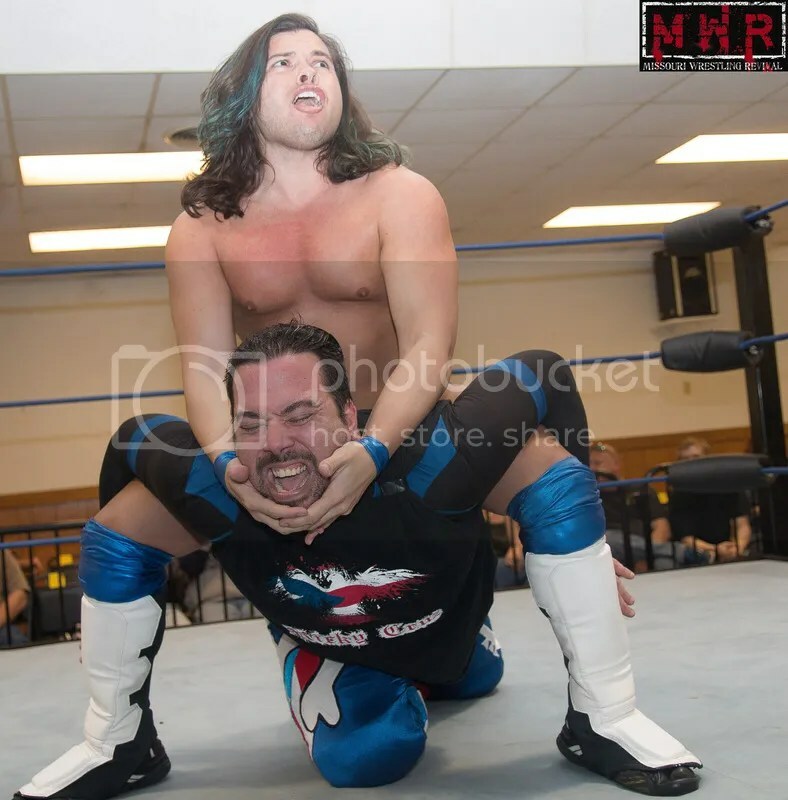 I will do my best to make all our upcoming bookings while Sterling will still be wrestling. See ya in 4 months. 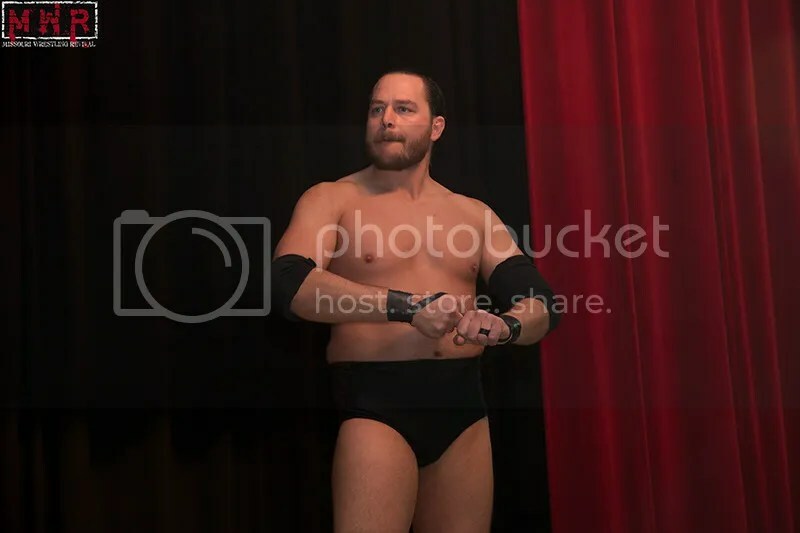 During the MWR Years no wrestler has been more successful in the Midwest by capturing titles, headlining matches and winning awards more than Jeremy Wyatt. 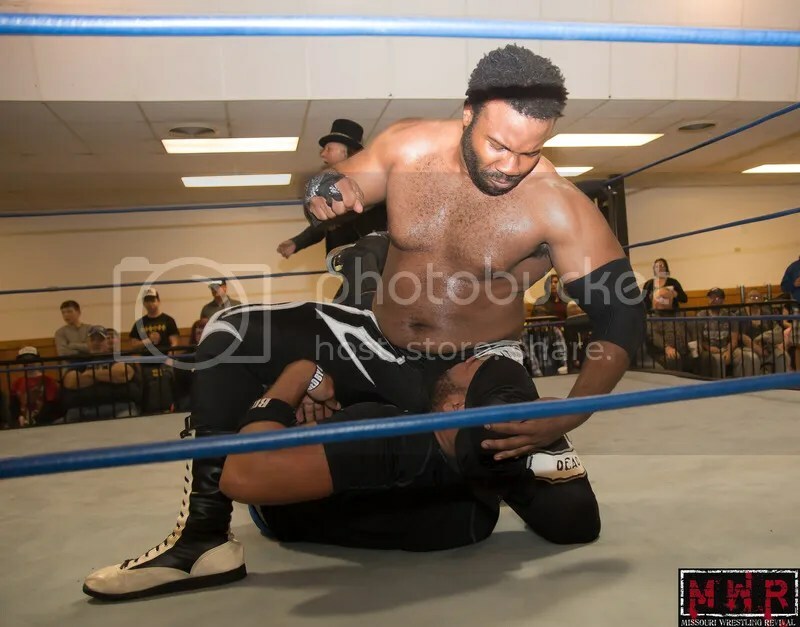 His talents and skills earned him the nickname the Belt Collector as he won or challenged for just about every prestigious heavyweight championship in the area. 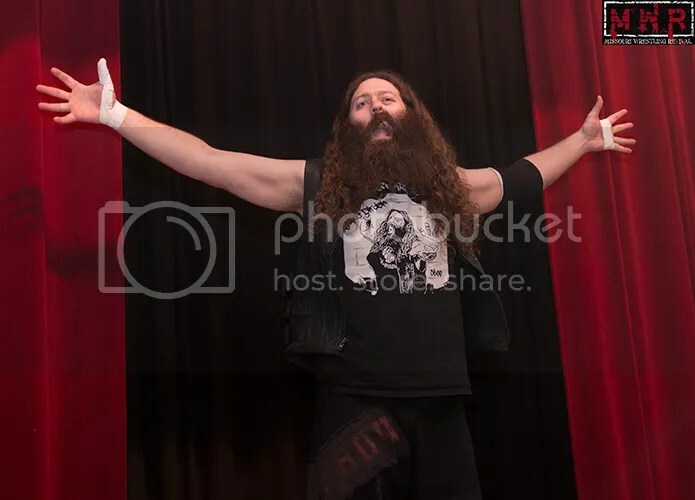 After an injury that at All American Pro Wrestling that threatened his livelihood that would have ended many lesser men in the sport, Wyatt returned to squared circle to somehow be better than ever. 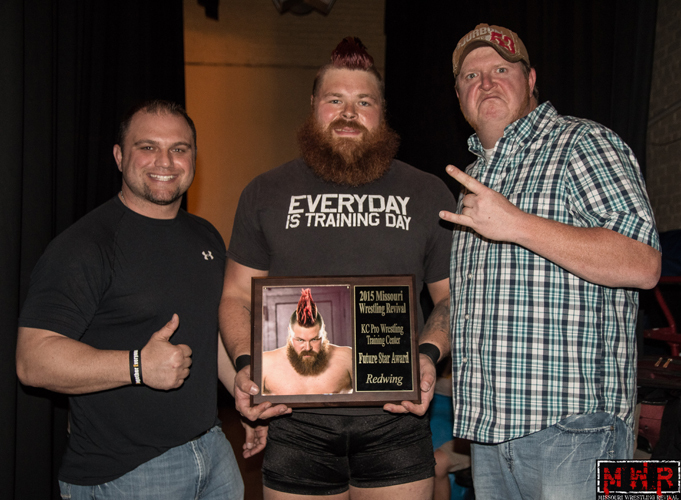 During the 2015 year Wyatt captured the 3XWrestling Championship as well as the Metro Pro Wrestling title on the way to an historic year where he was challenged by many of the best in the sport today. 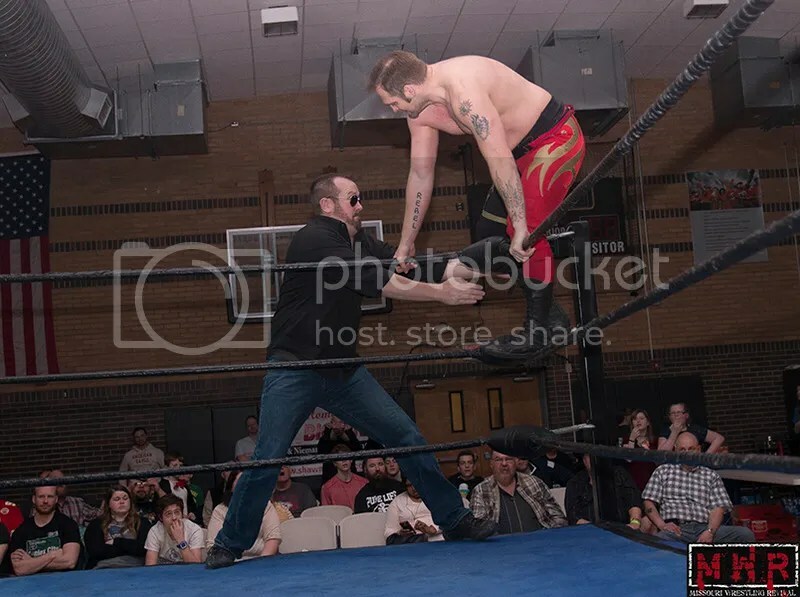 The victories would have been great for any wrestler but the fact that he had to win the matches against the likes of Christopher Daniels, Matt Striker, Matt Cage, Ricky Cruz, and Ace Steel or else see his career come to an end thanks to the evil Commissioner Michael Strider. 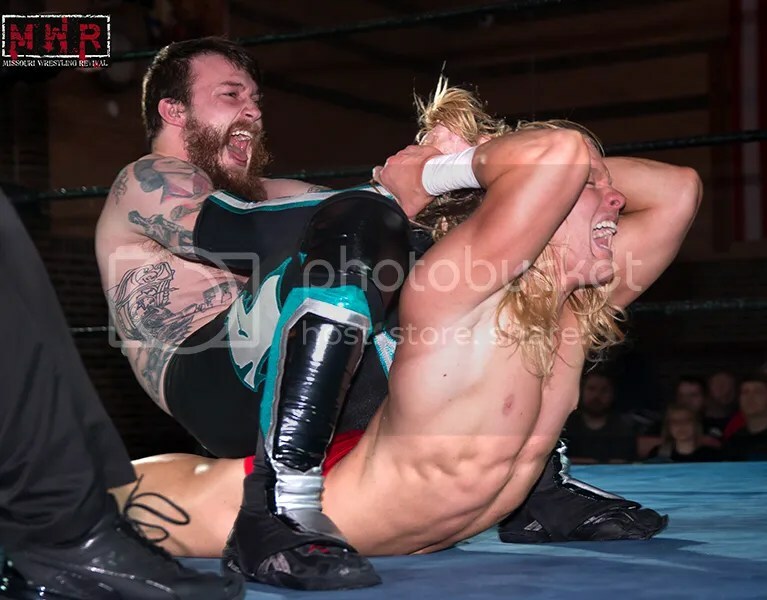 With Wyatt getting the last laugh during those epic battles Strider was sure that he had the answer to stop the reign of Wyatt when he signed the 60 minute Iron Man title Match in December against his often rival-often ally Mark Sterling. 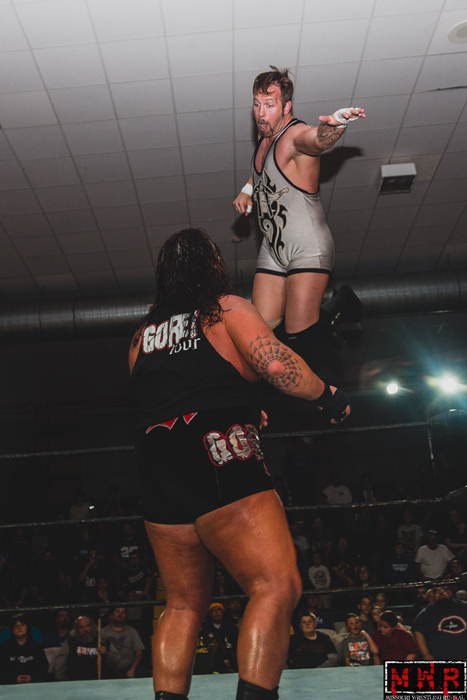 When the smoke cleared and the dust settled in overtime, Wyatt proved once again why he is had remained on top for so long. 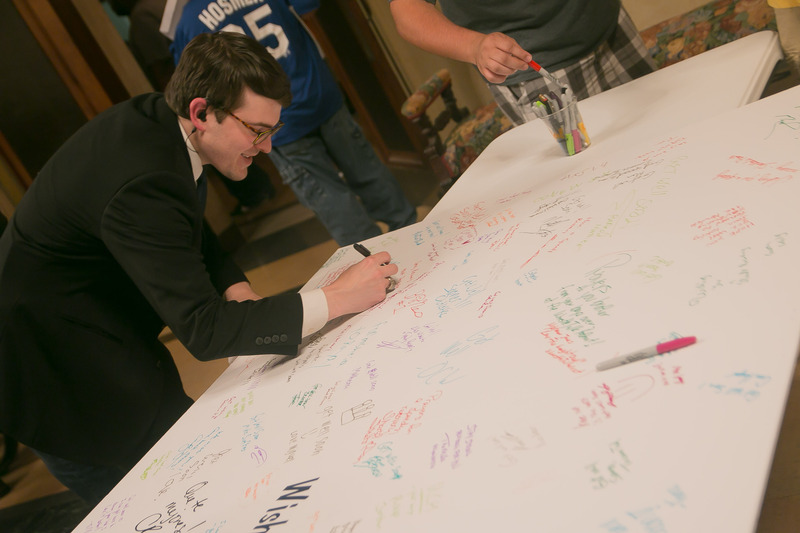 2015 was a very embarrassing year for Commissioner Strider as he had proven unable to strip the title off of Wyatt. 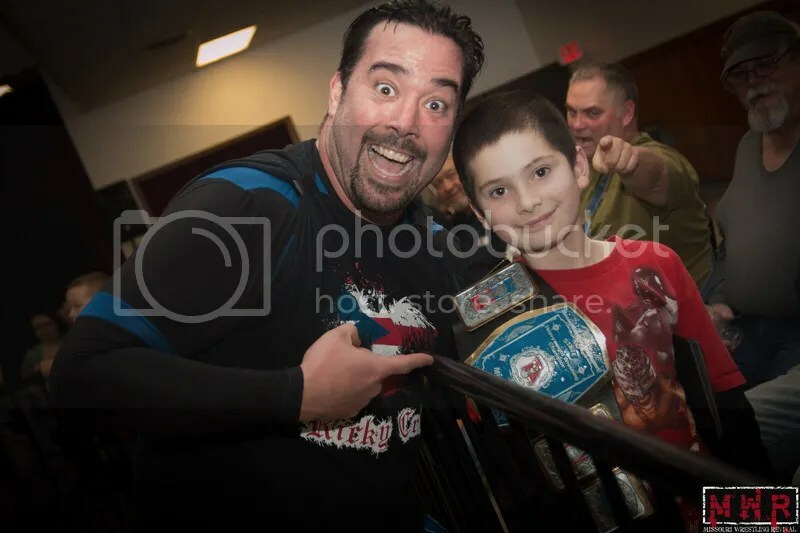 As a wrestler Strider was one of the very best in his era, and what made him so great was the desire to win, the never give up attitude that had earned him the love of the fans at one time. 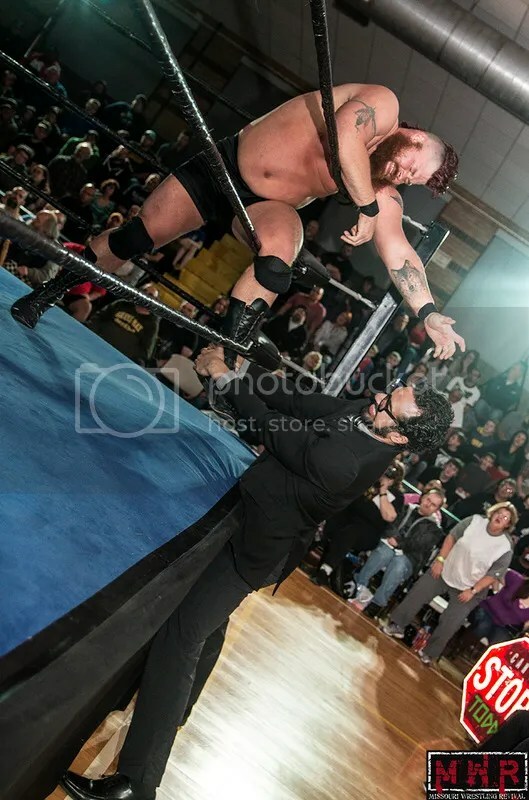 With a new year abound he signed one of the toughest baddest men in Ring of Honor today the Beer City Bruiser to deliver the pain on Wyatt in front of a packed house in January. 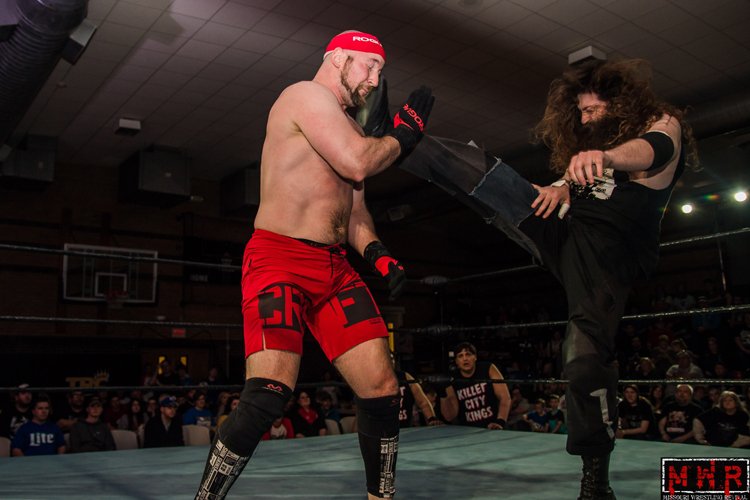 Wyatt was able to overcome the constant interference from Strider, Sterling to amazingly overcome the power of the Bruiser. 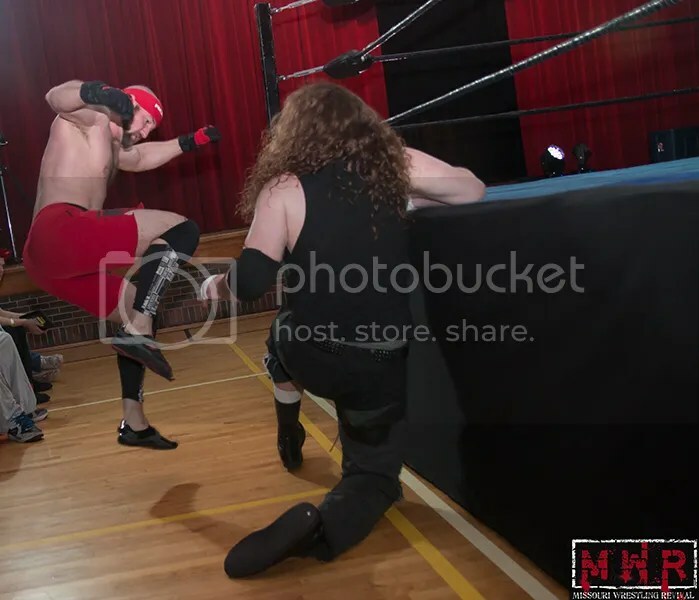 Wyatt attempted to taunt Strider once again as he tried to get Strider to come out of retirement to face him one on one in what would have been a historic battle in front of two men who have once been both the most hatted and the most love men in Metro Pro Wrestling history. 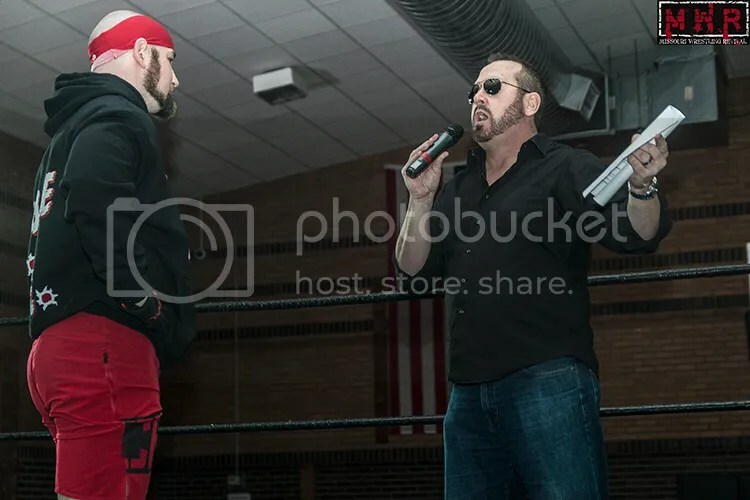 Strider’s critics could very well point out many flaws of him as a commissioner, but he had already had a plan B in place as he quickly told Wyatt that his next challenge would come from the ECW Legend Rhino. 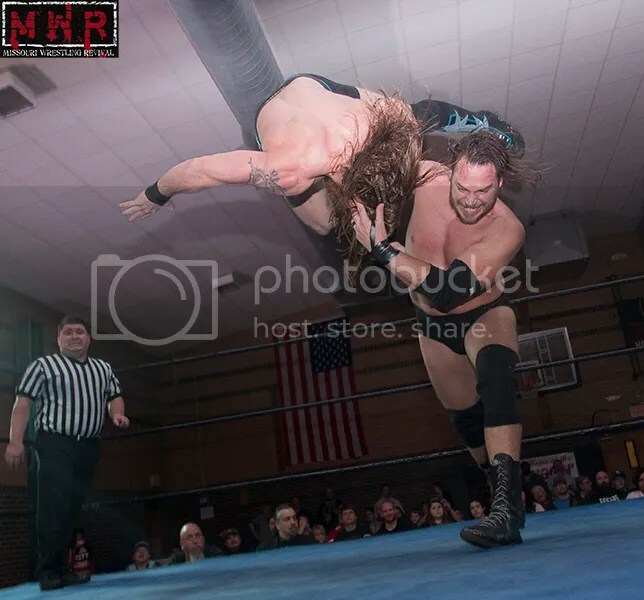 You could feel the buzz in the SOLD OUT Turner Rec Center that the man beast Rhino was in the house to do what so many before him was unable to do, defeat the MPW Champion Rhino. 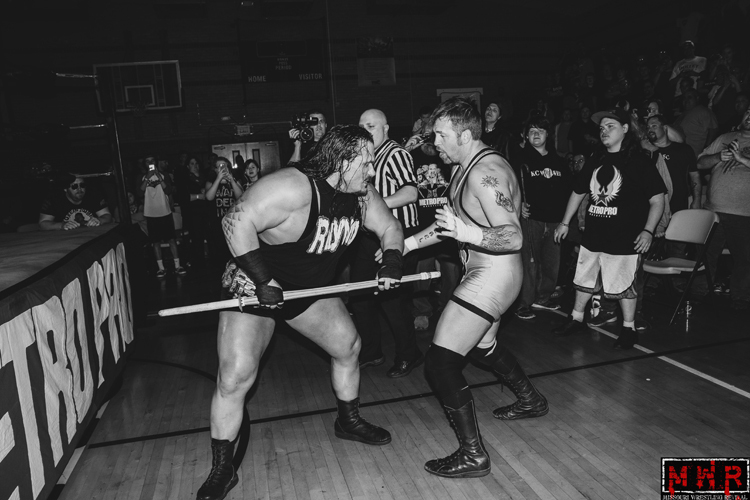 Unlike other match-ups prior to their match with the champion, Rhino would make no appearance prior to the war that would explode in Kansas on this night. 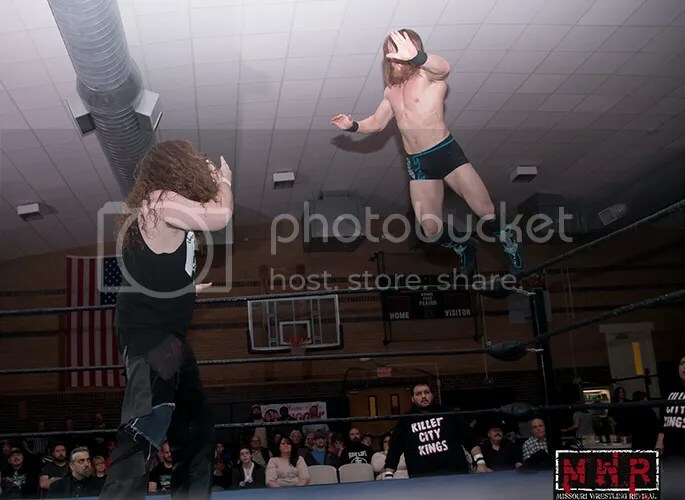 The ring would not be big enough early on as the two fought up and down the bleachers of MPW, as the fans ran for cover and tried their best to get a photo of the brutal action as the two me tore into each other. 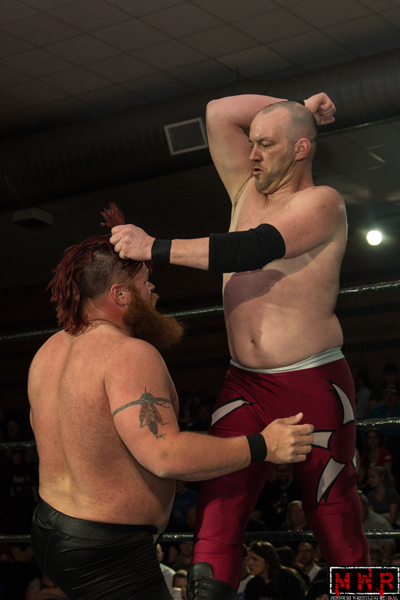 After several moments of intense action Wyatt dropped Rhino on his head with the lightning spiral and had him beat. 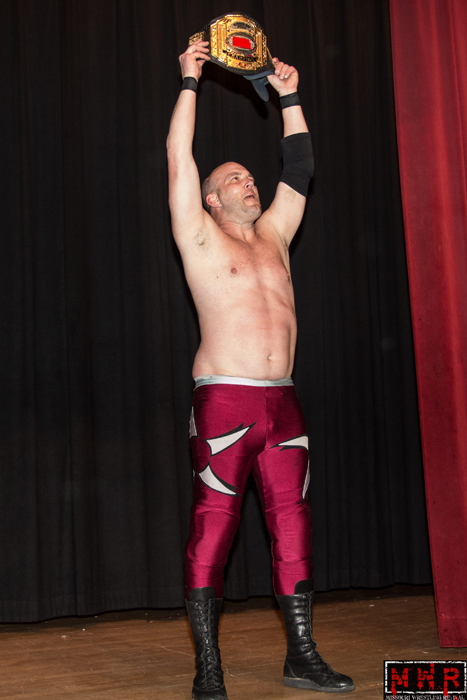 Stride distracted referee Michael Crase right before the 3 count for what looked to be the win. 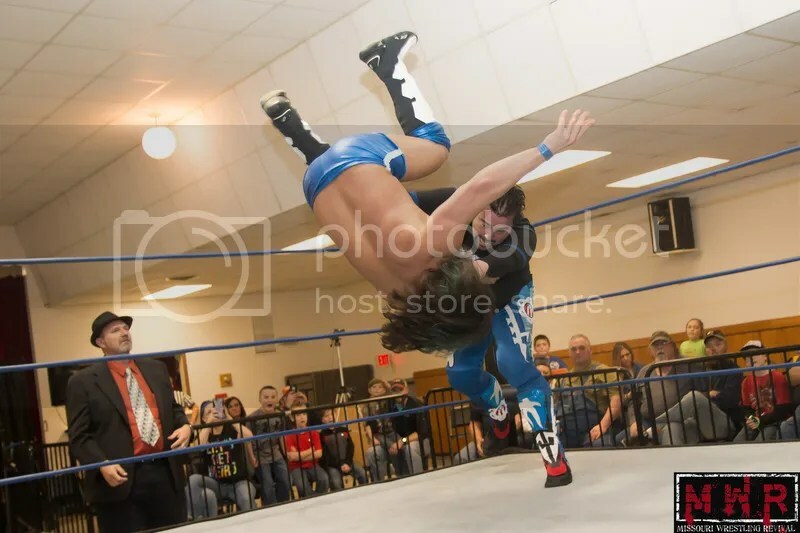 Yet, Strider quickly got the referee’s attention to stop the count. 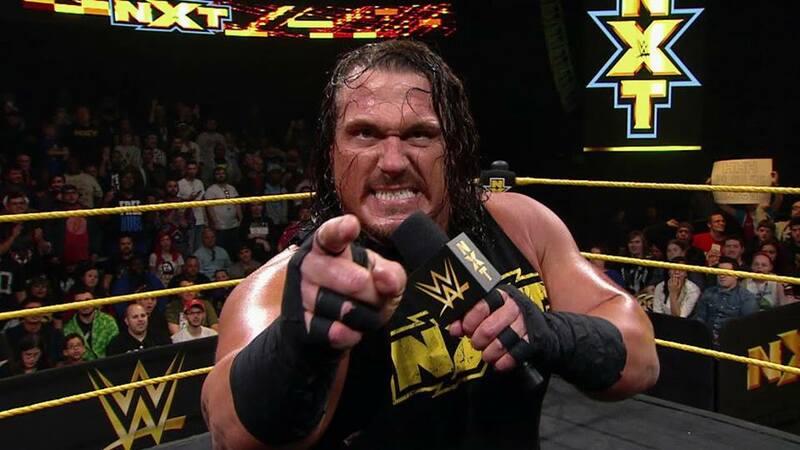 Wyatt let his temper get the best of him as he grabbed Strider, delivered a punch that popped the crowd. 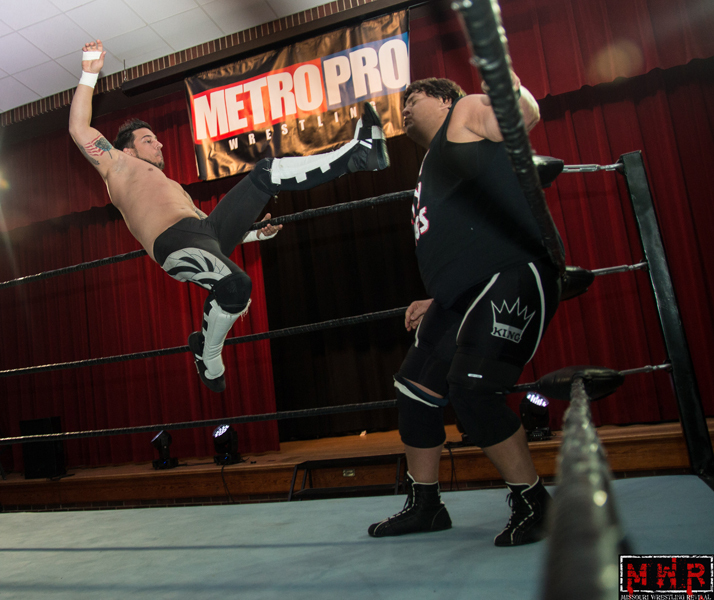 Seizing the opportunity with Wyatt’s back turned, Rhino drilled Wyatt with the Metro Pro Wrestling title belt. 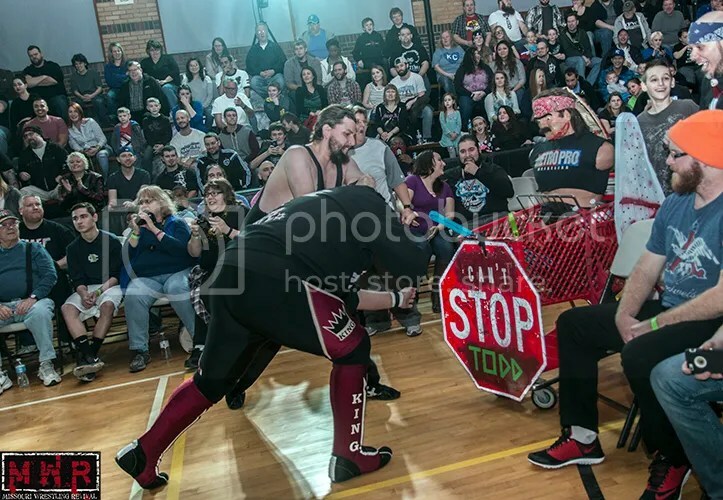 Strider who was arguing with the referee, quickly ordered him to turn around to count the final pin of Wyatt’s career. 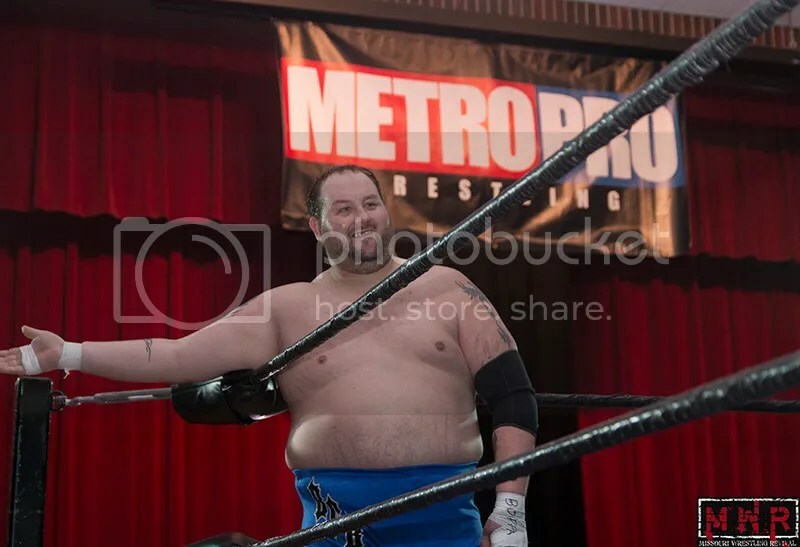 With a shocked and stunned crowd watching Rhino becoming the 9th man to hold onto the Metro Pro Wrestling title, Strider celebrated in the ring like he had just won the title himself. 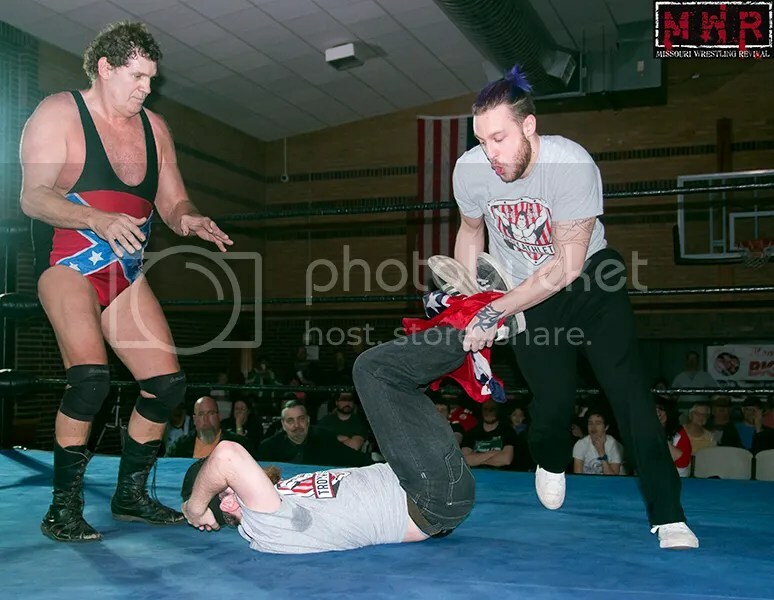 As Wyatt laid there knocked out, Strider offered Rhino a 10,000 dollar bonus if he would drop the title and give it to Strider. 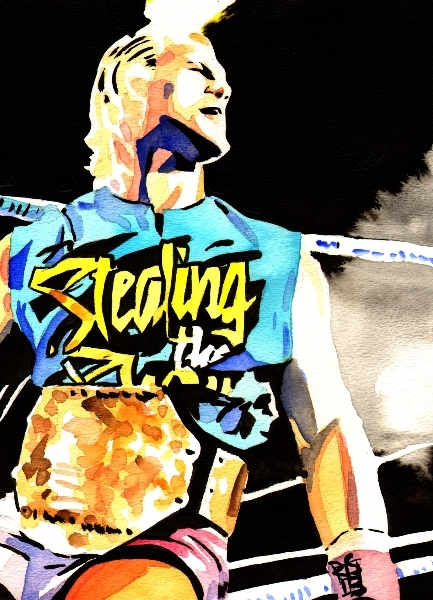 Rhino would prove to be a mercenary that would earn his money and the legacy as the man that would end the career of Jeremy Wyatt. 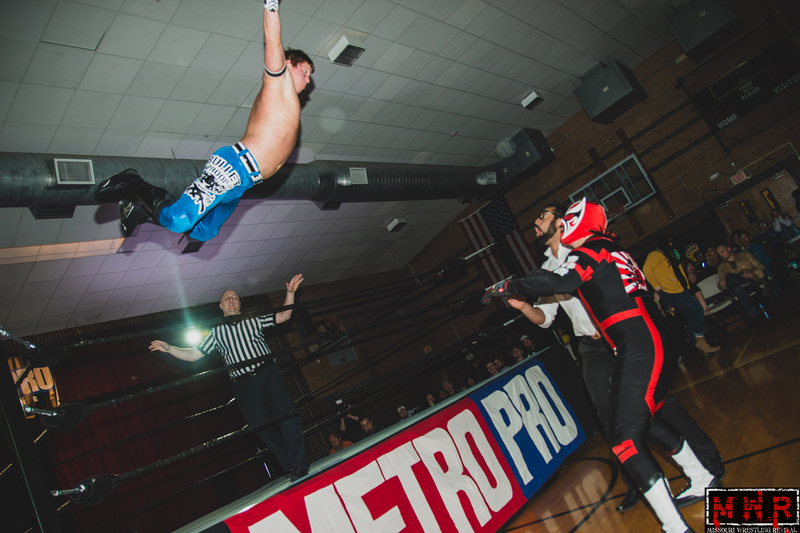 Metro Pro Wrestling returns on June 4th and it has been announced that Strider has demanded that since Wyatt is now gone, Strider would be the man to accept Wyatt’s 2015 MWR Wrestler of the Year Plaque. 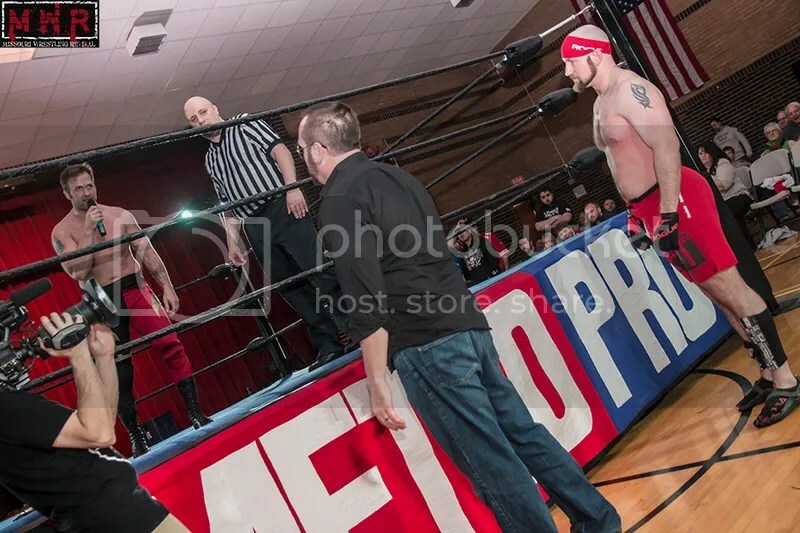 A special night for the fans as they will also have the chance to meet the tag team legends Demolition and the start of a 16 man tournament featuring many of the best wrestlers in the country to claim the vacant MPW Championship. 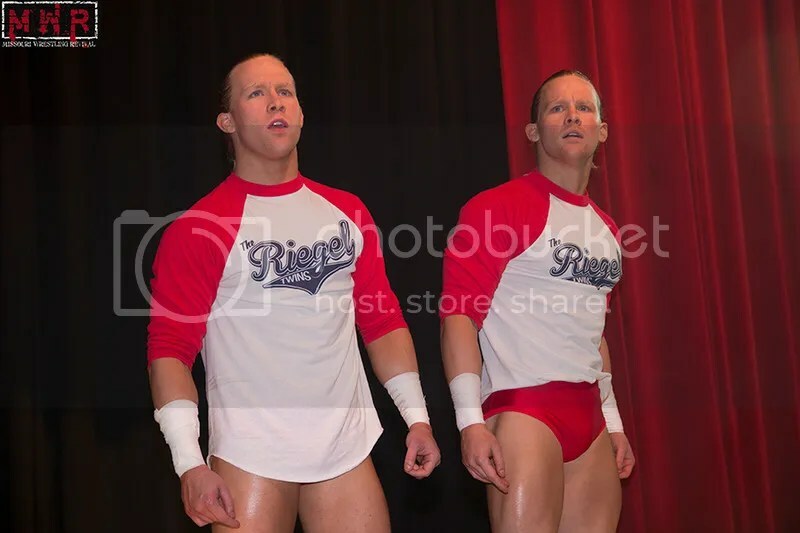 Steve Fender’s new championship, the exciting 6-man match between the Riegel Twins team up with Jon Webb vs. Mike Sydal and the Kansas City Kings, as well as Jake Dirden’s huge win against Mark Sterling, and so much more. 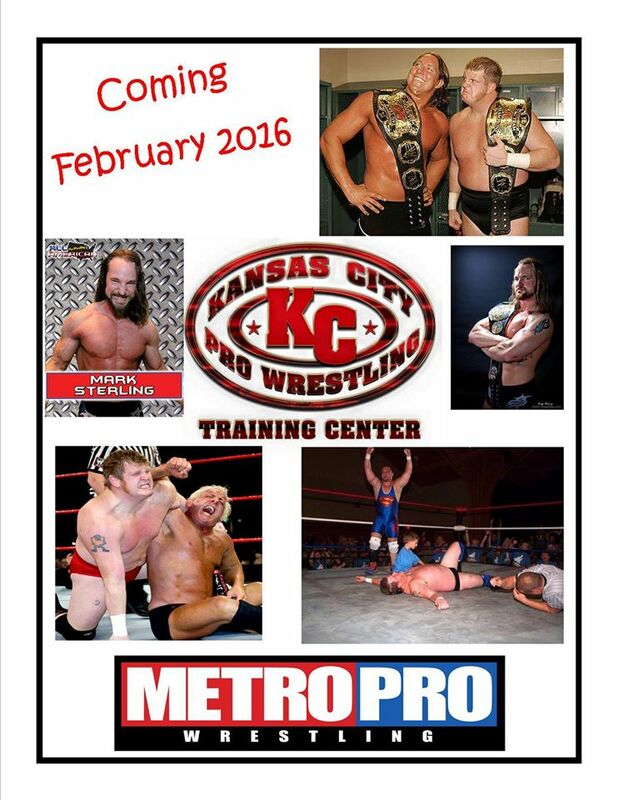 MPW Commissioner Michael Strider paid Rhino 10,000 dollars for the Metro Pro Wrestling title. 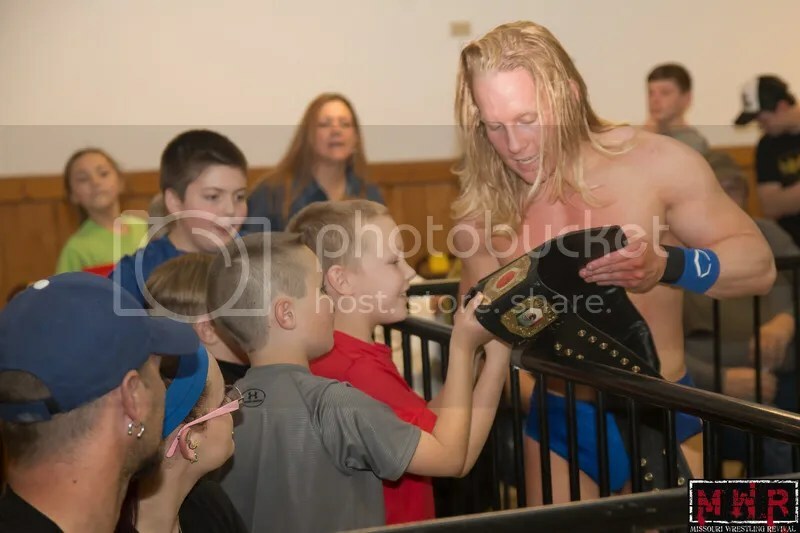 In an historic night of pro wrestling, fans in Warsaw, Missouri got to witness the crowning of a brand new High Risk Wrestling Champion after Mike Sydal showcased why he is one of the top stars in the country in back to back matches. 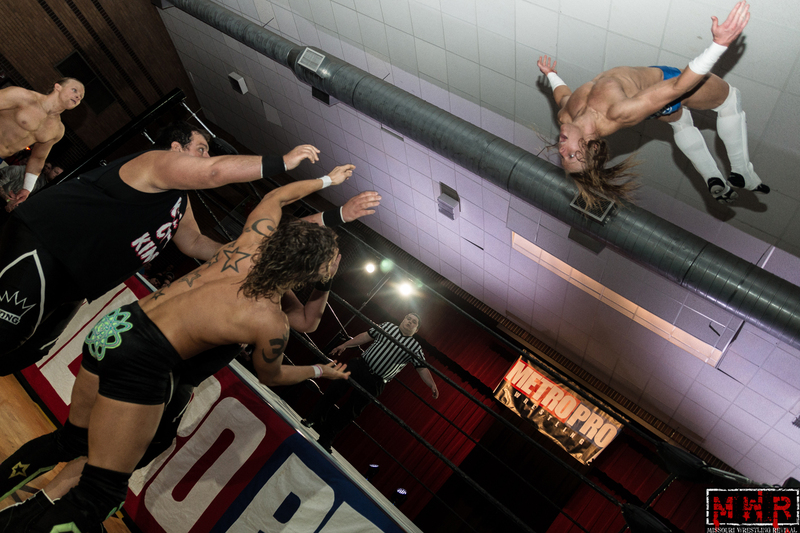 Sydal had earned a semi-final match by defeating upstart Paco in March to face the infamous Tyler Copeland. 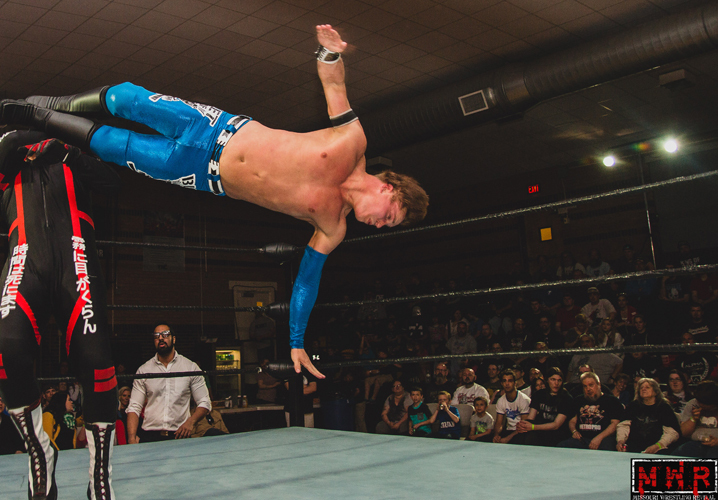 Copeland proved why he was a man to be watching in 2016 as he took it to the Sydal from start to finish, but it would not be enough on this evening. In the march quarterfinal battle Elvis Aliaga continued his path to the topping the Math Magician. 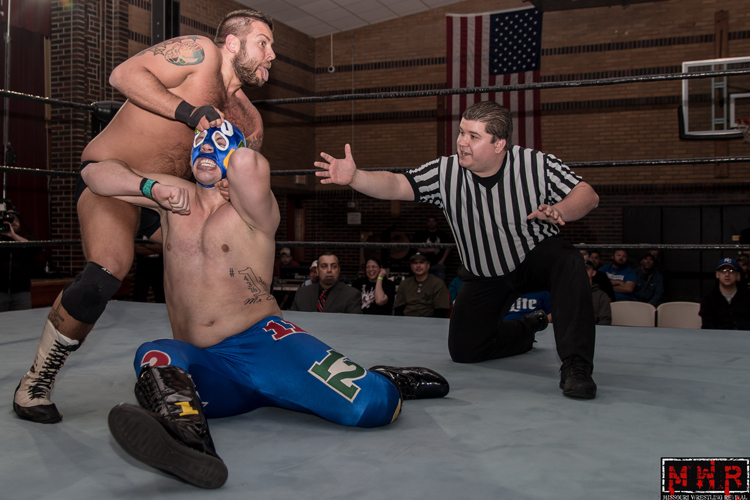 In the semifinals the youth of Aliaga was tested against the rugged Tony Kozina. 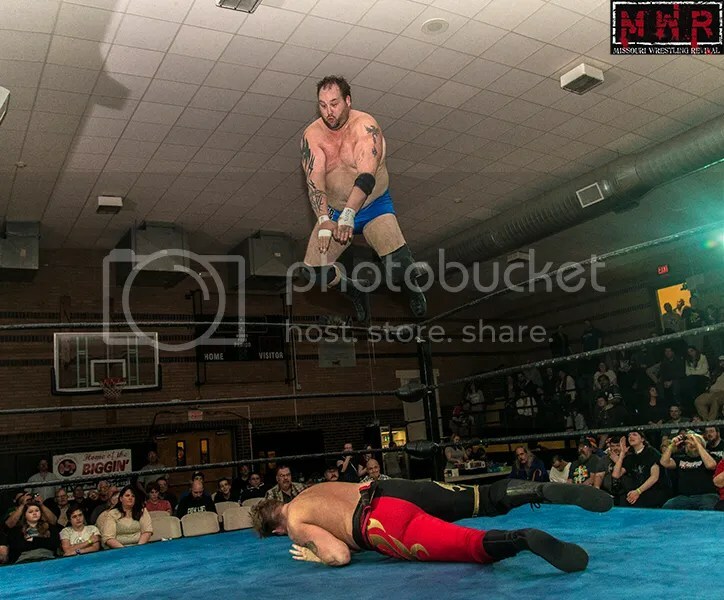 Aliaga the 2014 MWR Future Star award recipient was cocky throughout as he took some punishing blows from Kozina, but would prevail to move in the finals. 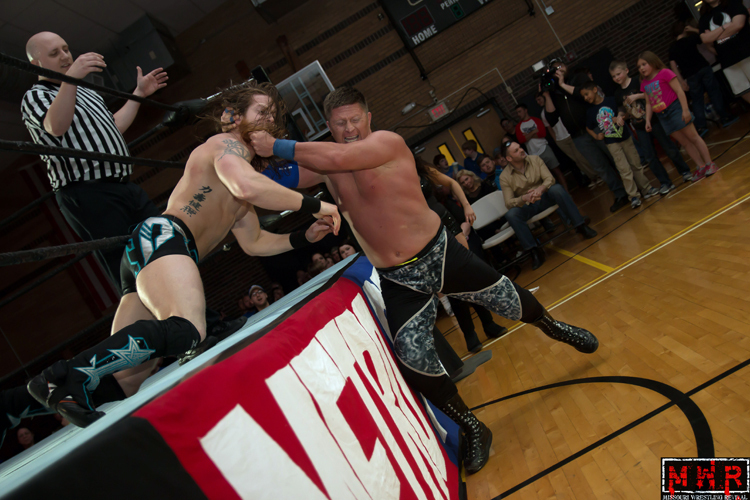 In the tournament finals Aliaga showed no fear as he pounded on Sydal as he taunted the HRW fans. 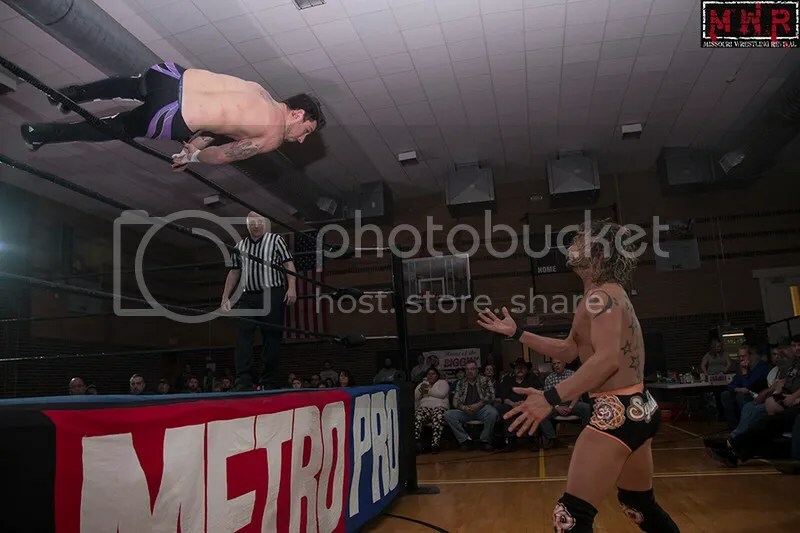 Sydal would withstand the onslaught to find an opening to hit the moonsault to a huge roar from the crowd to once again become a champion in the MWR coverage area. 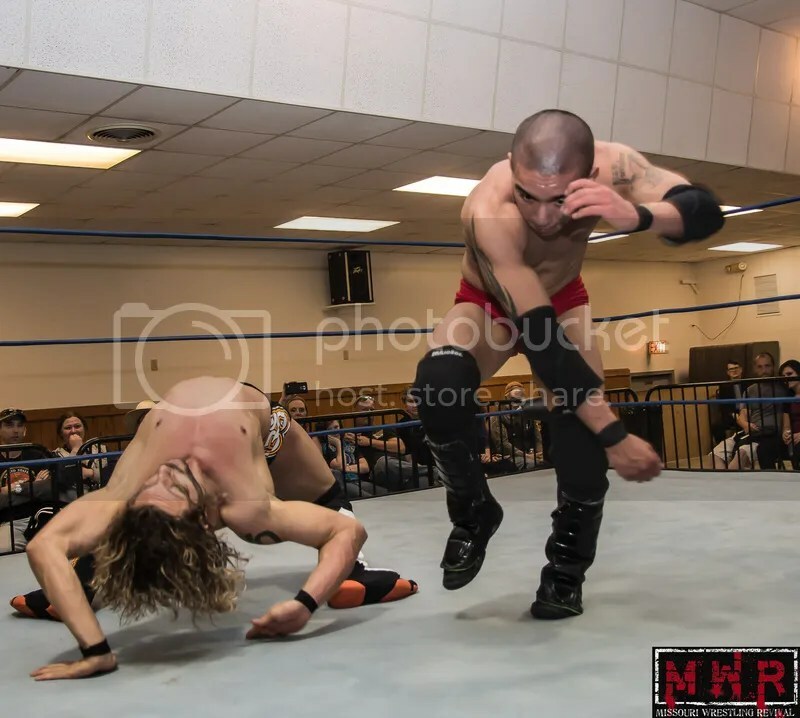 HRW June 25th at the Warsaw Community Center in Warsaw, but be sure to check out MWR in the future for a recap of an event that saw a wild grudge match between Mike Outlaw and Justin D’air as well as the first time ever match up between the 2015 Tag Team of the Year, High Level Enterprise and the HRW Tag Team Champs the Riegel Twins. 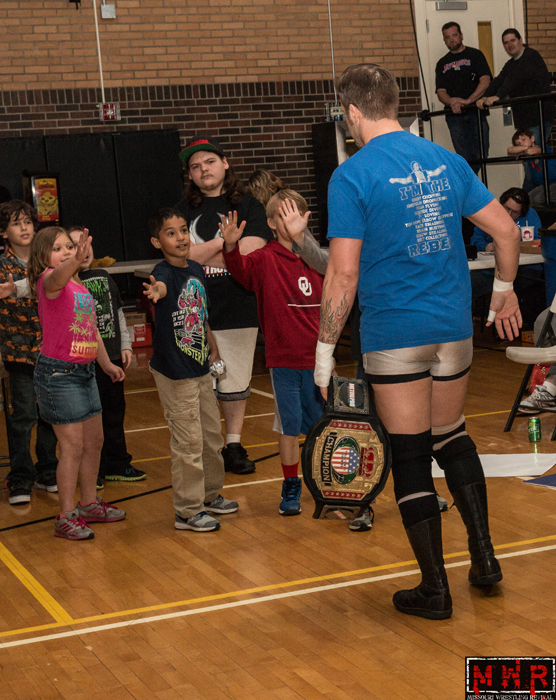 Ricky Cruz continues to be among the top wrestlers in the country in 2016 as he currently holds the MWR Missouri Championship. 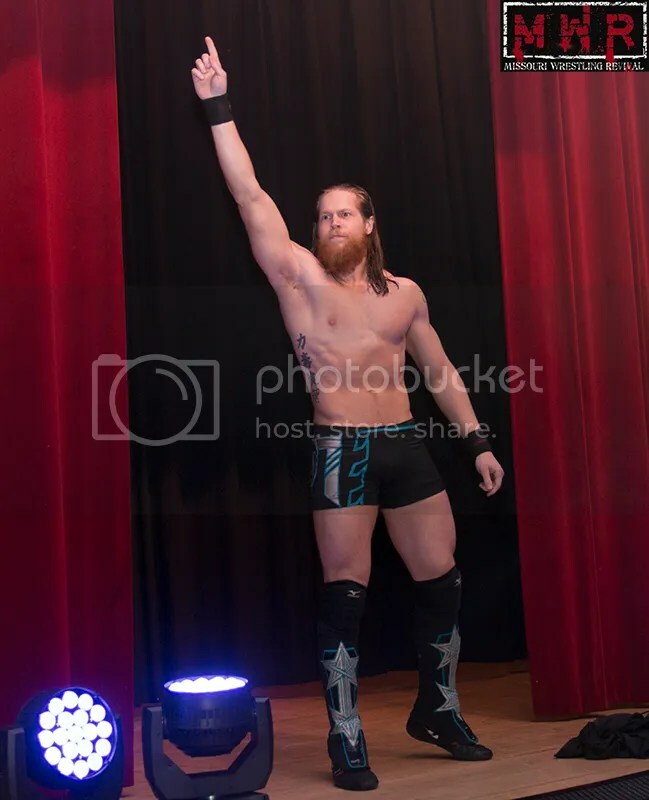 His title reign will be put to the test when he takes on the son of legendary wrestler Harley Race, Leland Race for the very first time EVER in Sedalia, Missouri. 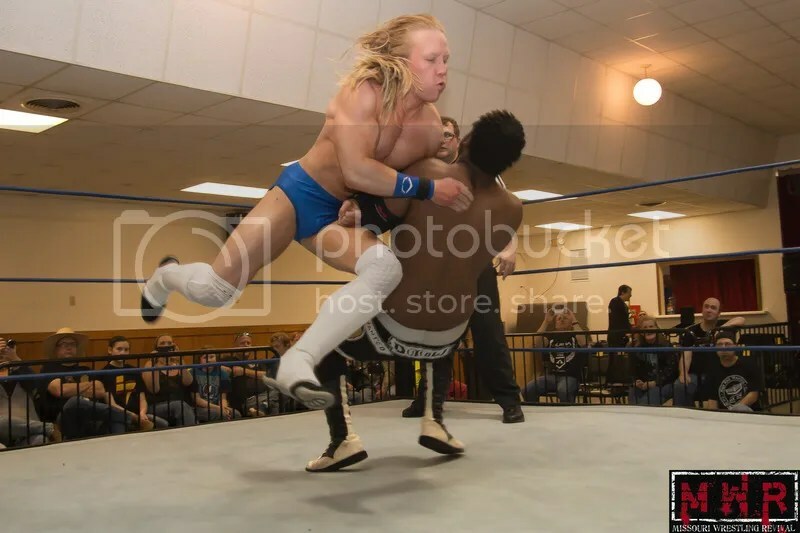 There have been very few men in the MWR years to be as dangerous as Leland Race who recently battled the NWA Light Heavyweight Champion of the World in a classic match up in Troy, Missouri and now has his eyes set on Ricky Cruz. This will not be a match that you will not want to miss. 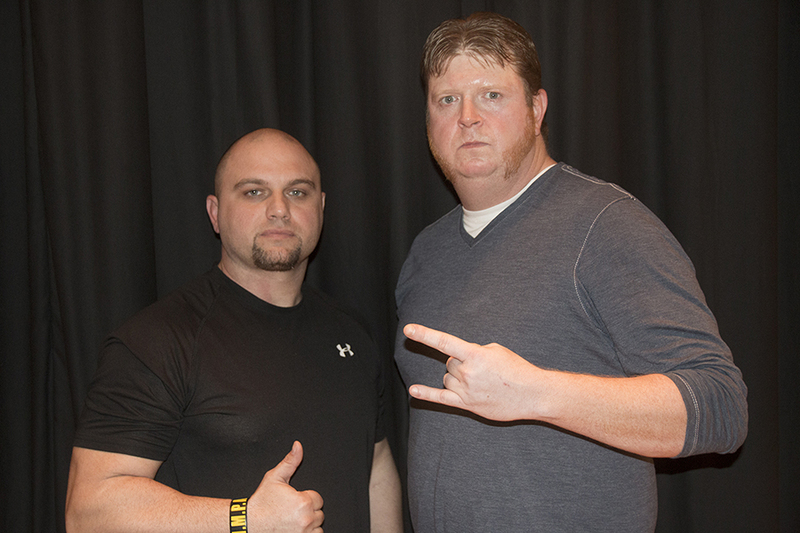 MWR will be on hand that very night to document history for this very time ever match-up! 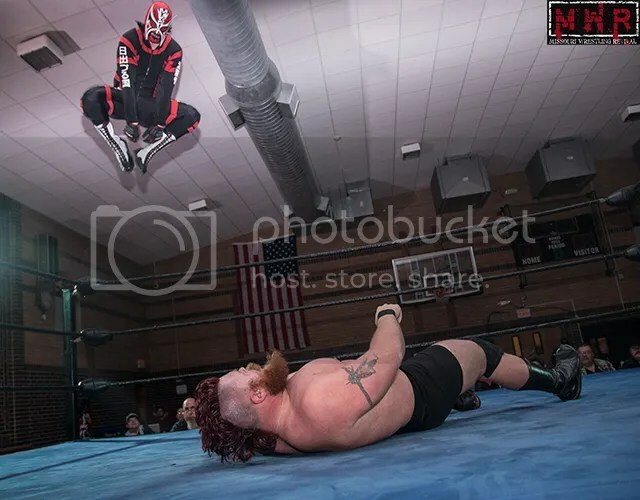 New Breed Wrestling has been red hot since debuting in 2015 with a family friendly night of wrestling that everyone will love. New Breed Wrestling will make its debut on Saturday April 30th at the Liberty Park Convention Hall, doors will open at 6 with a 7 pm bell time! and as always will be available at the door on the day of the show. 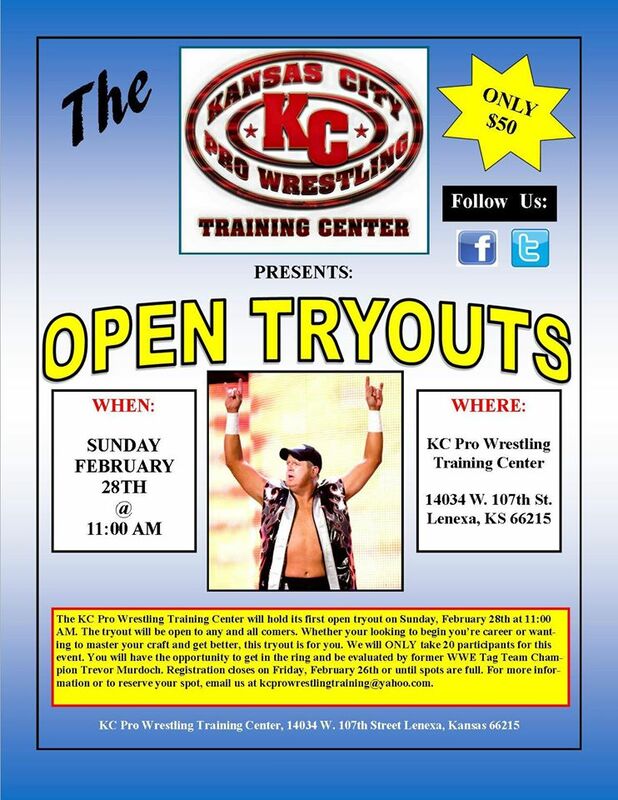 Tell your friends, tell your family, tell a stranger on the street and we’ll see all of you there! In a historic first, we will be having a ladies tag team match when Miss Natural and Stacey O’Brien face off against Lucy Mendez and Miss Monica. 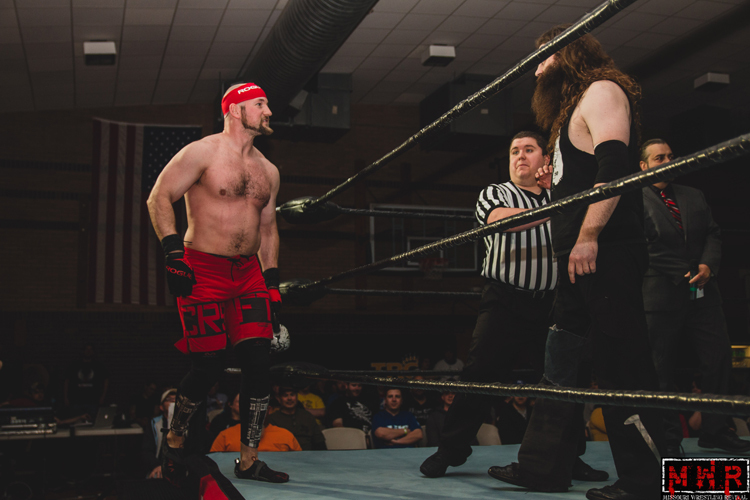 Cousin Gator, one third of the Guns and Beer Stable, will be taking on former WWE and TNA Superstar Trevor Murdoch. 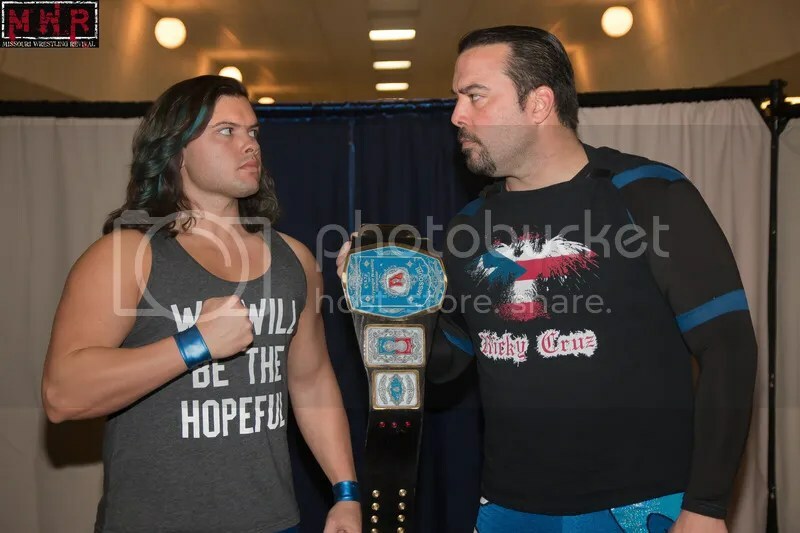 In our main event of the evening The King of Chaos Ricky Cruz will be putting his MWR Missouri Heavyweight Title on the line against the Son of a Legend, Leland Race. 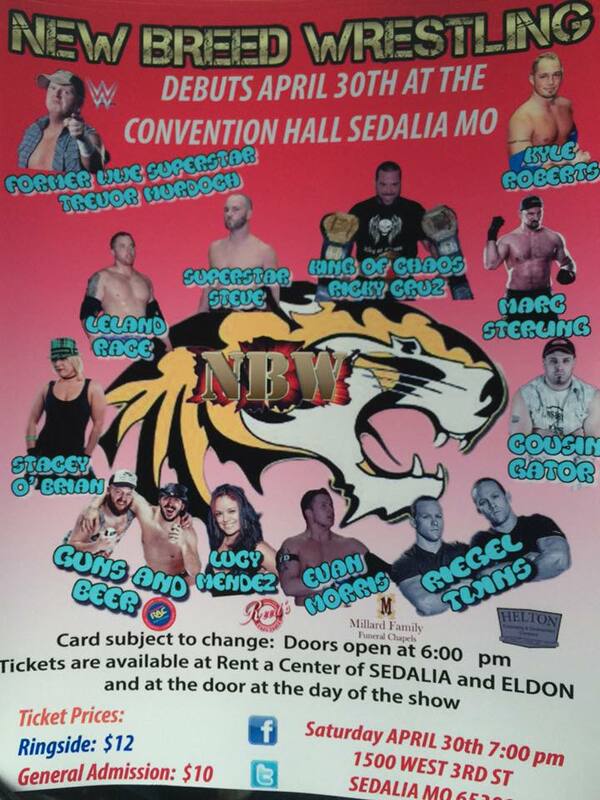 Beginning with our Sedalia show, ACTIVE AND FORMER MEMBERS OF THE MILITARY that present their military ID can receive a discount of $2 off either ringside or general admission tickets. 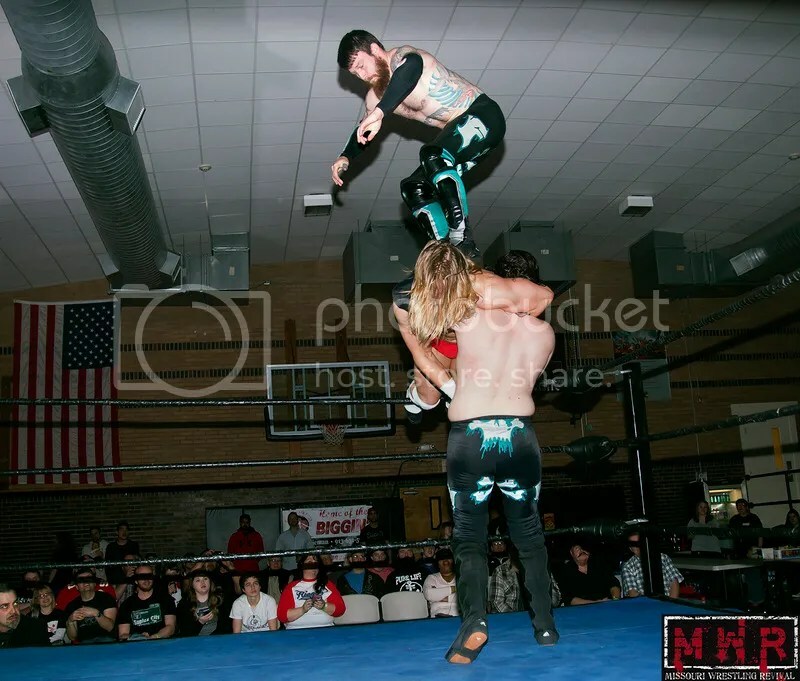 On February 27, 2016 High Risk Wrestling, a St. Louis mainstay since 2014, brought their brand of wrestling to the small town of Warsaw, Mo. 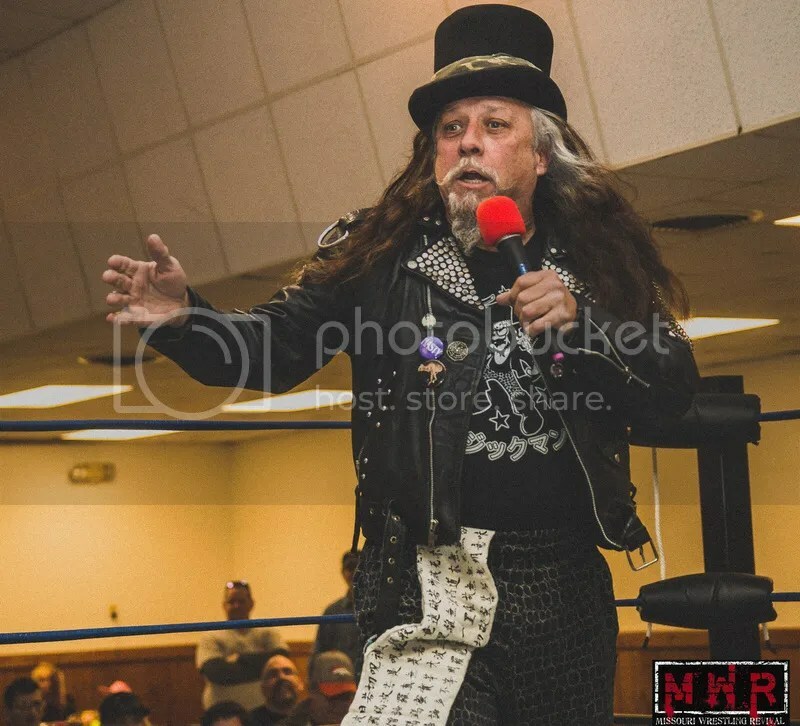 Frank Thurman, the owner of High Risk Wrestling, recently decided to move his shows from the St. Louis area to Warsaw. 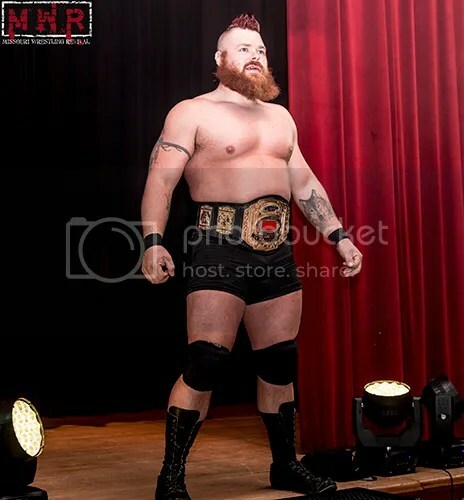 The show was highlighted with the first round of a tournament to decide who the new High Risk Heavyweight Champion was going to be after Blake Belakis relinquished the title shortly before the move. 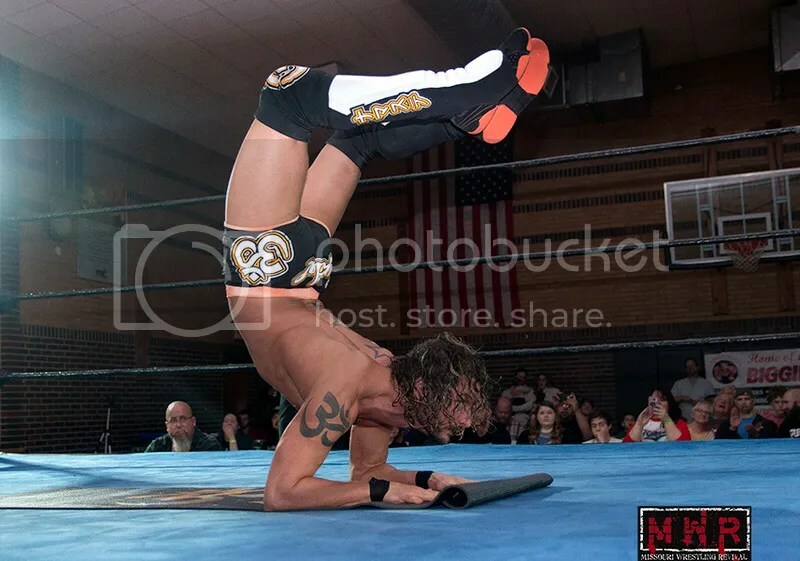 In the first match of the tournament we saw “The Yoga Monster” Mike Sydal pick up an impressive victory over Paco. 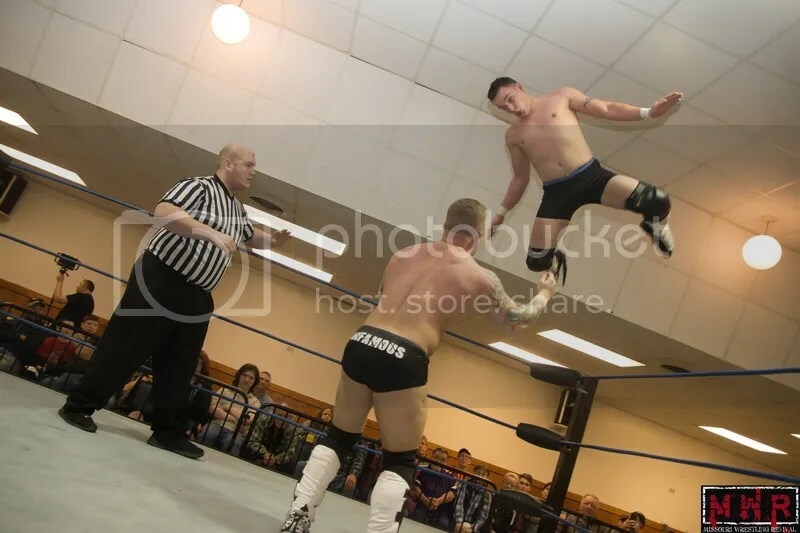 The two high flyers put on an amazing match to open the show and really got the crowd of over a hundred people into the show from the start. The show wasn’t just about the tournament though, The Magic Man introduced the crowd to a special attraction. 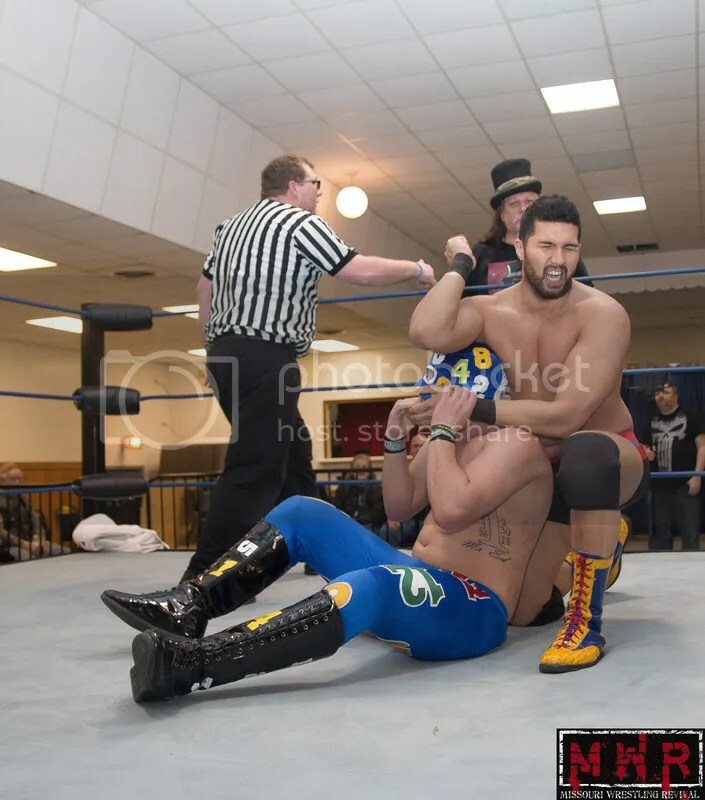 All the way from Japan, Kiyoshi Shizaka made his debut with the Magic Man issuing an open challenge on his behalf. 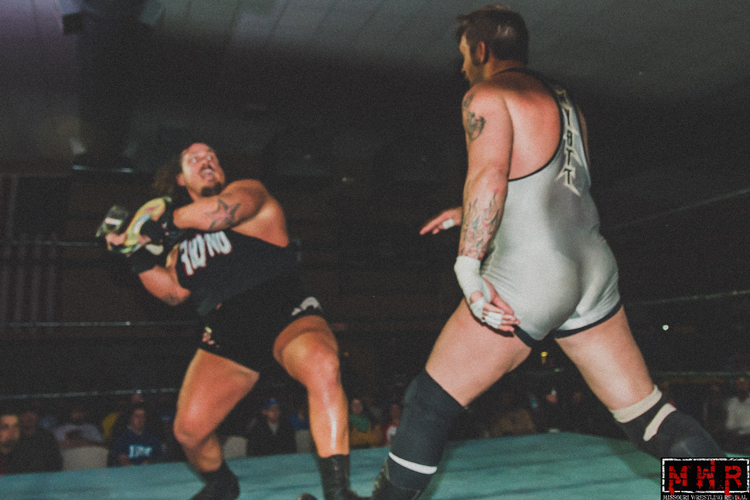 As fast as his Monster fueled legs could carry him John E. Rock was in the ring and hyped for the challenge. 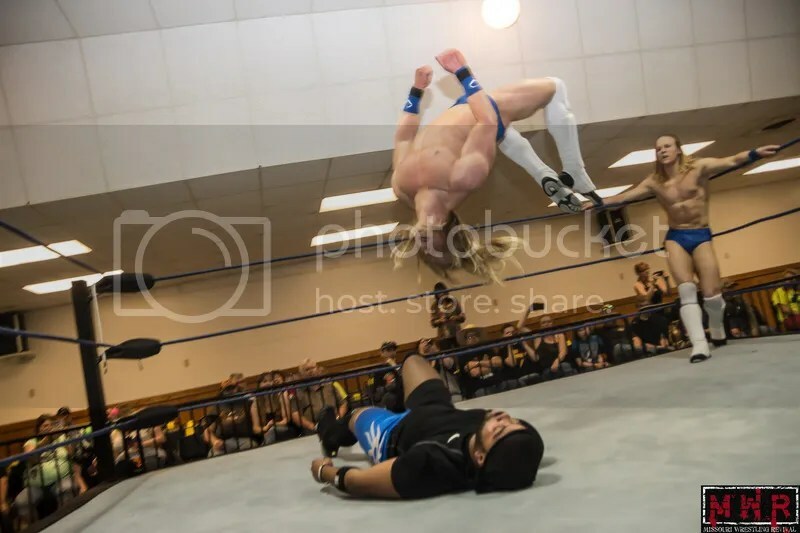 In an impressive display of aerial maneuvers and super quick feet Shizaka proved to be a little too much for the crowd favorite, and beat Rock with a backslide pin. 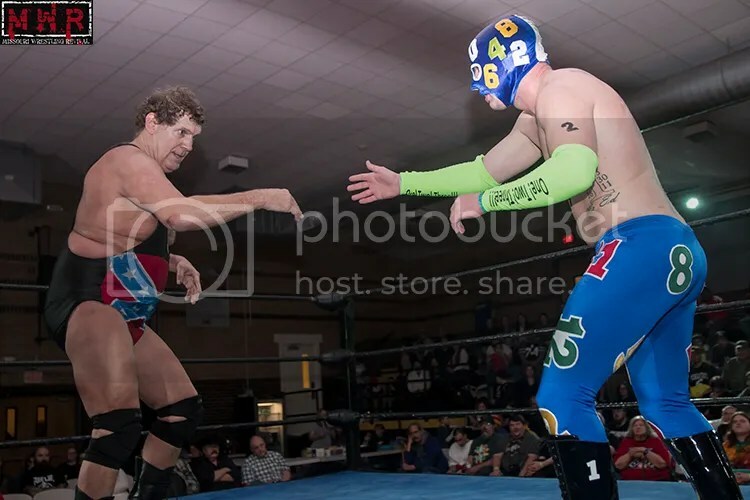 Showing his respect to the better man that night Rock bowed to his opponent before exiting the ring. 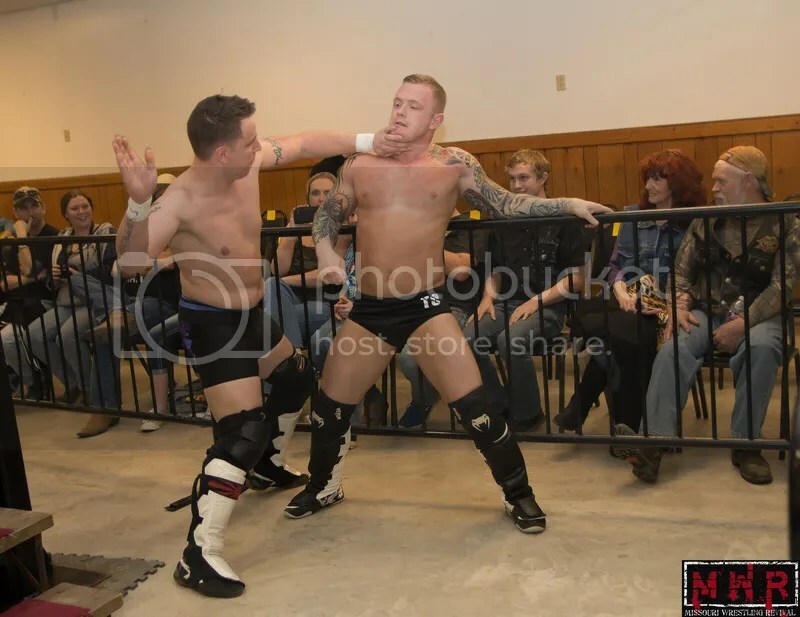 The theme of the night seemed to be sportsmanship and respect for one’s opponent up to that point in the night, but when Tyler Copeland extended his hand to Jack Gamble in the next quarter final match for the High Risk Championship bout, Gamble was treated to a boot to the gut for his trouble. Gamble shook it off and went to work on Copeland. 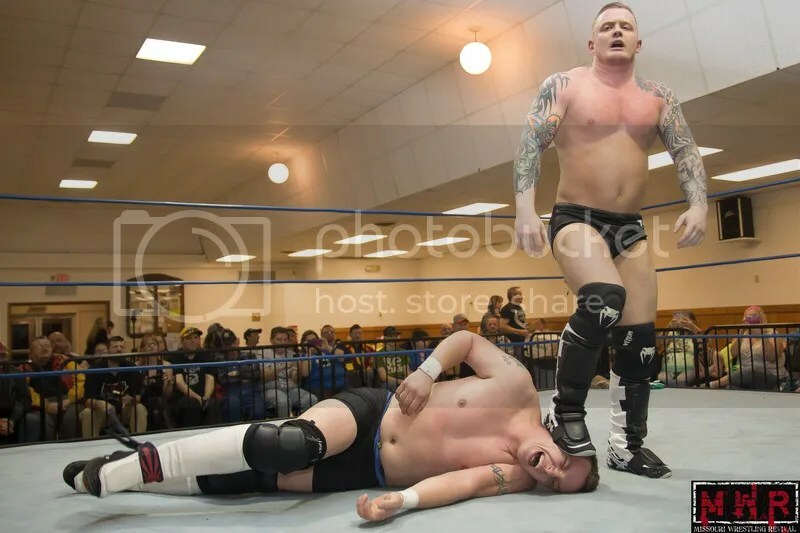 The two men had a great back and forth match with multiple two counts, but Copeland decided Gamble came to close one too many times. 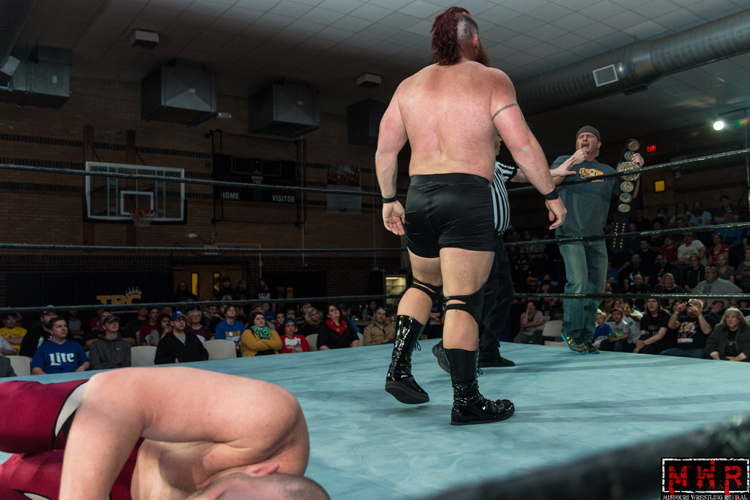 With a quick low blow while the ref’s back was turned Copeland rolled up Gamble for the win. 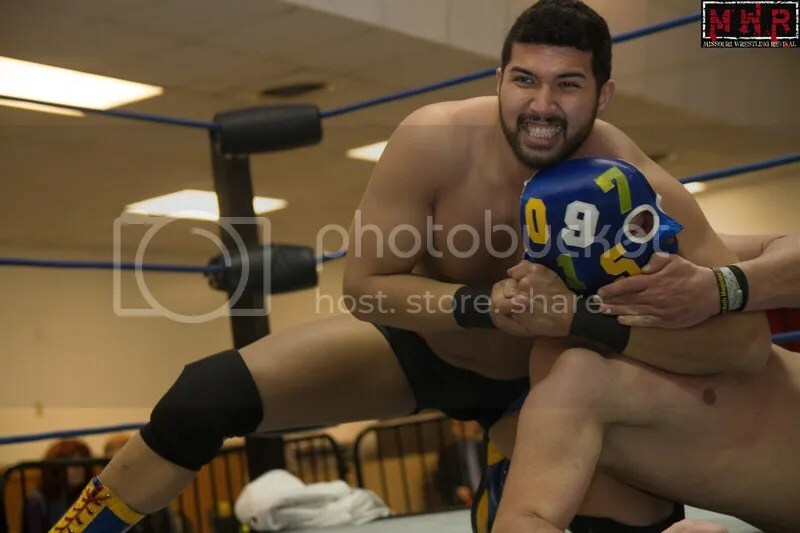 Next up the ultra-charismatic bad guy Elvis Aliaga took on The Math-Magician in the third quarter final match in the tournament. Elvis tried to confuse his opponent before the match even started with some impossible math problems, but they proved to be no problem for the Magician. Unfortunately, Aliaga himself proved to be a problem as he pinned him 1-2-3 to advance to the next round of the tournament. 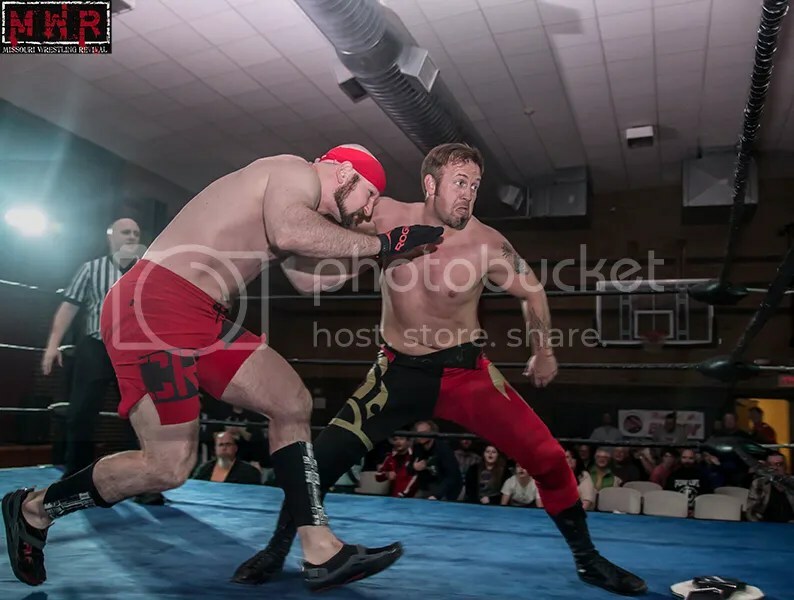 The final match in the tournament that night saw two veterans, Tony Kozina and Jeremy Wyatt, in a one on one match that was easily main event material. 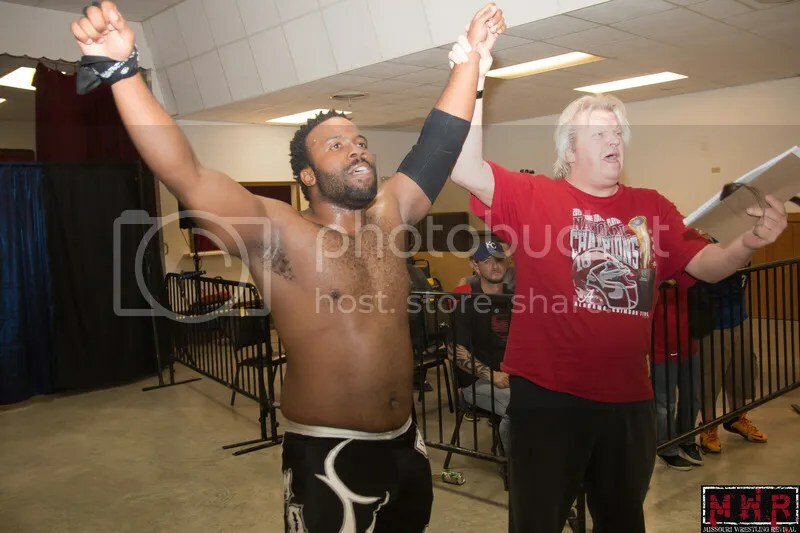 As the two battled back and forth in the ring, “Beautiful” Bobby Eaton took an interest in the match and came out to ringside to observe. Eaton’s distractions kept Wyatt off his game just enough for Kozina to pick up the win and advance to the next round in the tournament. 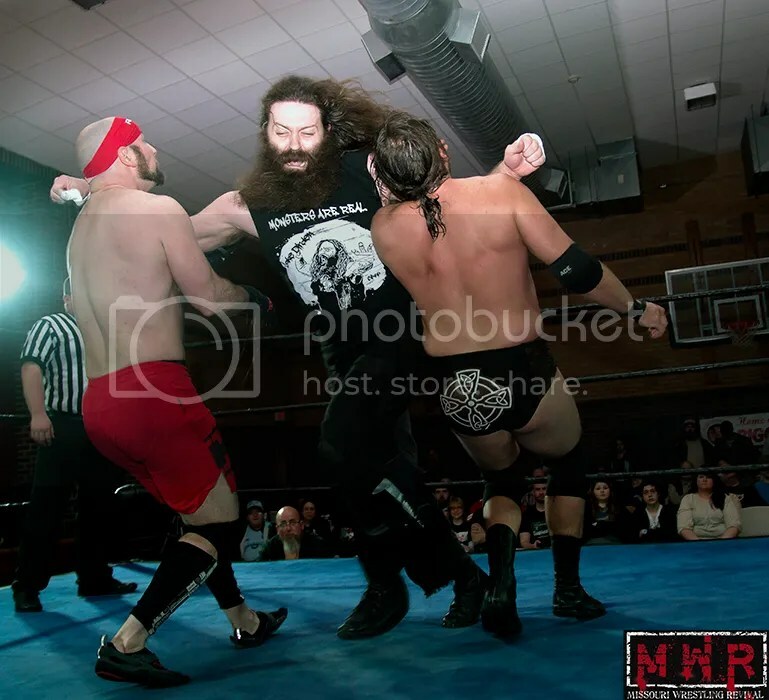 Obviously unhappy with the result of the match, Wyatt confronted the legend which quickly escalated from verbal confrontation to Wyatt laying Eaton out with a punch to the jaw. 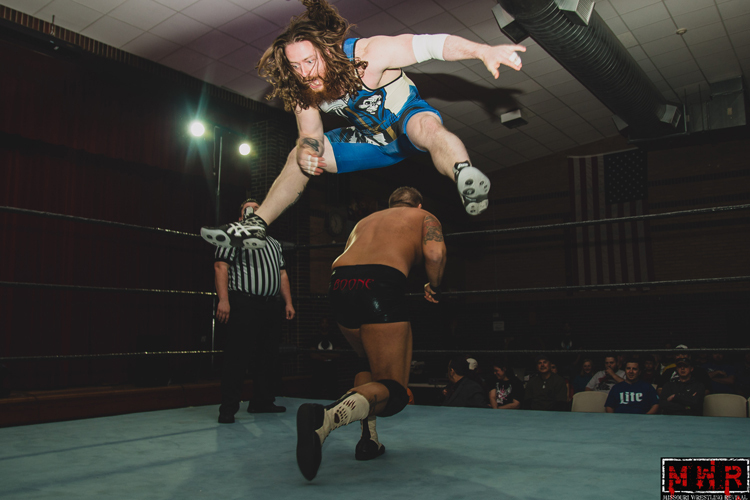 With all four matches in the tournament in the books we will see Mike Sydal, Tyler Copeland, Elvis Aliaga, and Tony Kozina advance to the semi-final round on April 23rd to decide who the next High Risk Champion will be. 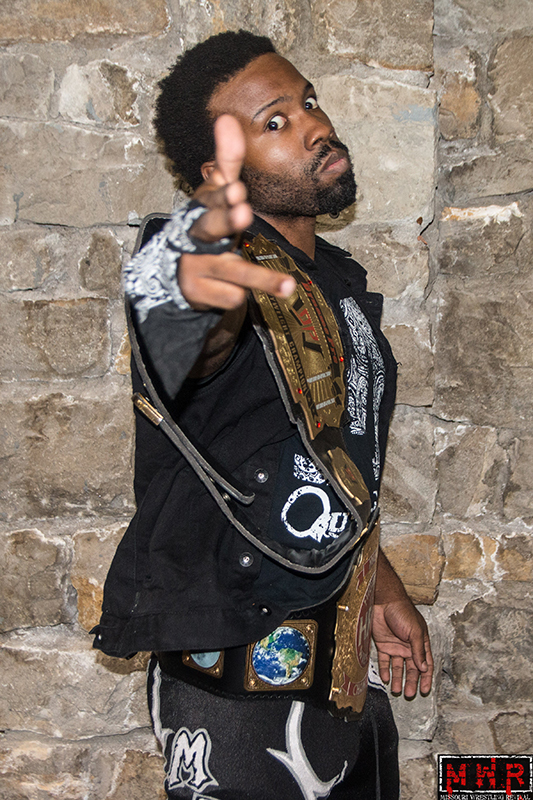 The newly coined MWR Missouri Championship was on the line next as champion Ricky Cruz defended his title against Brandon Aarons and his manager Garrett “Freakin” Williams. After much primping and preening by Aarons the match finally got underway. In a spectacular display of power and agility Cruz seemed to have Aarons number at every turn. 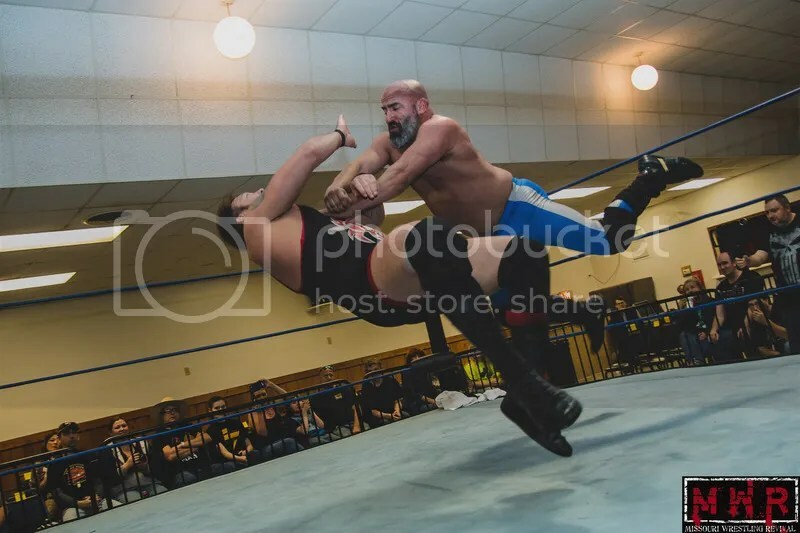 Even with the constant interference of manager Williams, including choking the champion in the bottom rope and a jab to the throat from Aaron’s brush, Cruz came out on top retaining the coveted Missouri Title. 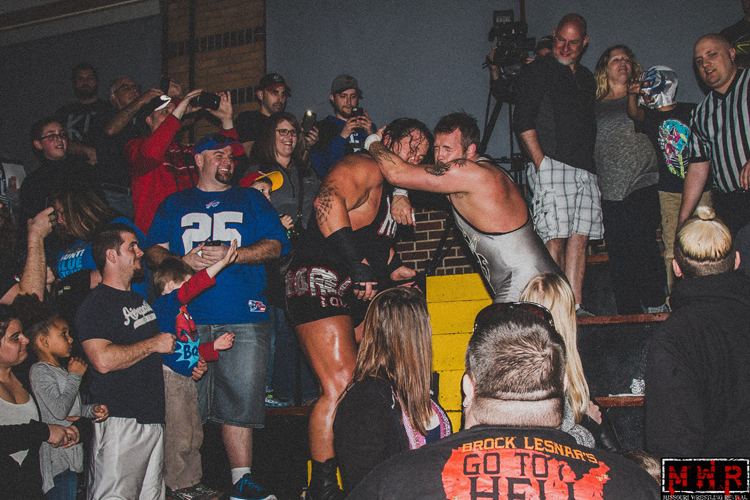 The main event of the night was for High Risk Wrestling Tag Team Titles. 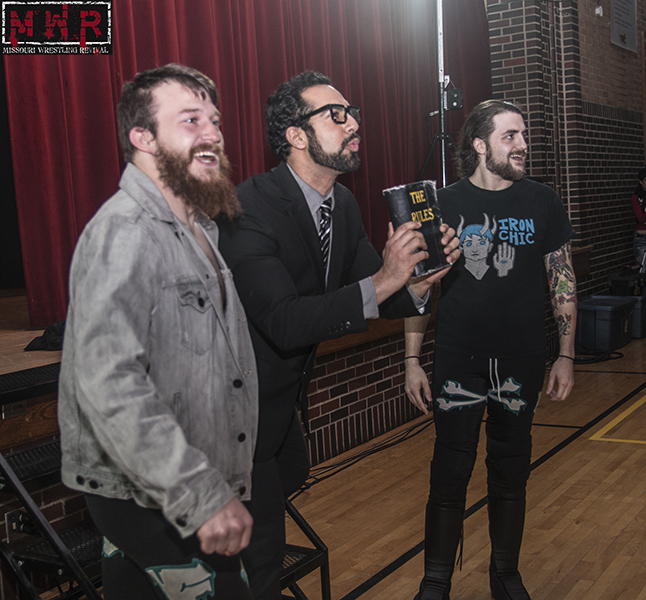 Champions Mike Outlaw and Justin D’air took on the up and coming Riegel Twins to see who the best tag team in High Risk Wrestling was. Both teams were firing on all eight cylinders that night as they threw everything they had at each other. 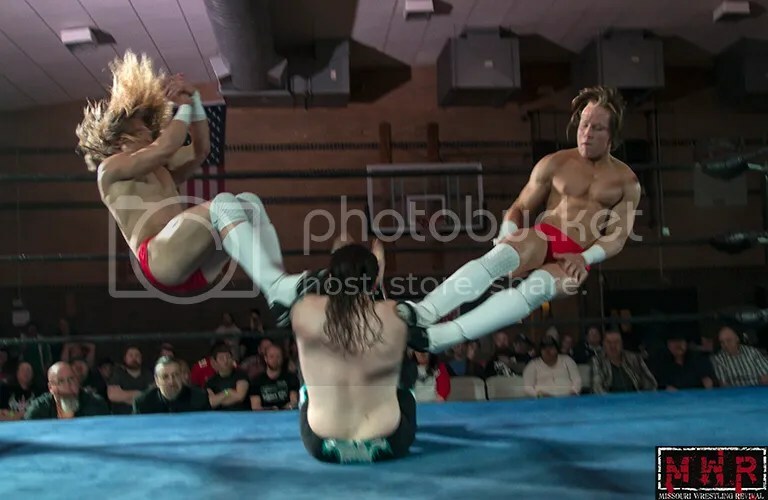 The Riegel Twins, who are relatively new to the wrestling scene, already have an impressive collection of tandem moves in their arsenal had their hands full with the champion duo of Outlaw & D’air. In an impressive display from both teams they battled back and forth and showed the crowd exactly why they all deserved to be in that championship match. 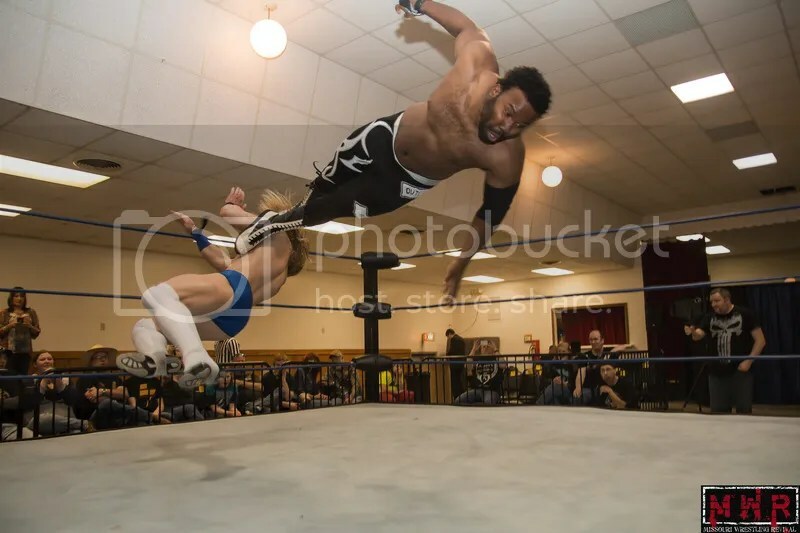 With D’air on the shoulders of Logan, Sterling climbed to the top rope and delivered a devastating flying clothesline that put D’air down for the three count winning them their first tag team title victory in High Risk Wrestling. 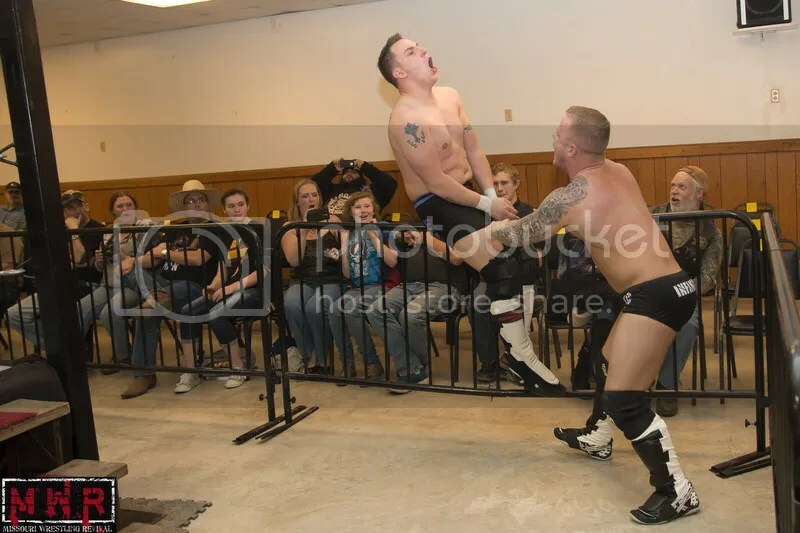 Outlaw, who was becoming more visibly upset as the celebration went on, took out his frustration on his partner D’air. 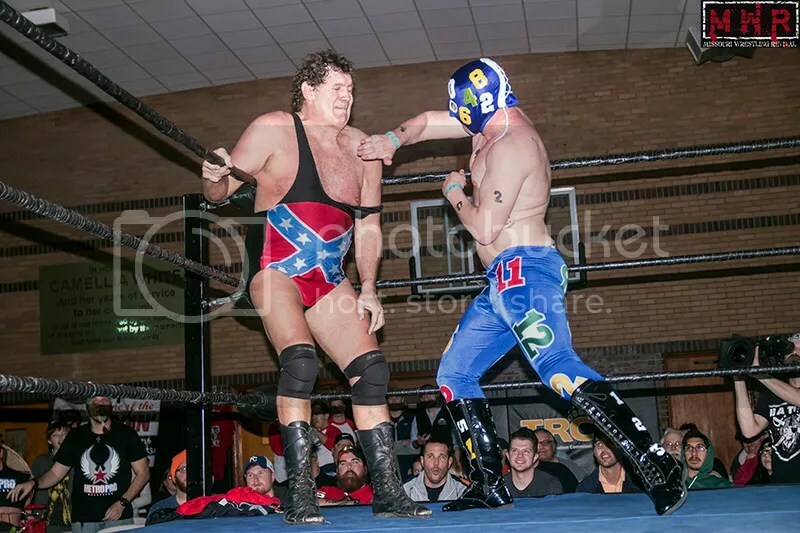 Taking three referees and the Riegel Twins to pull him off the prone D’air, Outlaw left the ring only to be met by Bobby Eaton. For a second we prepared for a confrontation, but were surprised when Eaton simply raised his hand and nodded in approval to end the show. 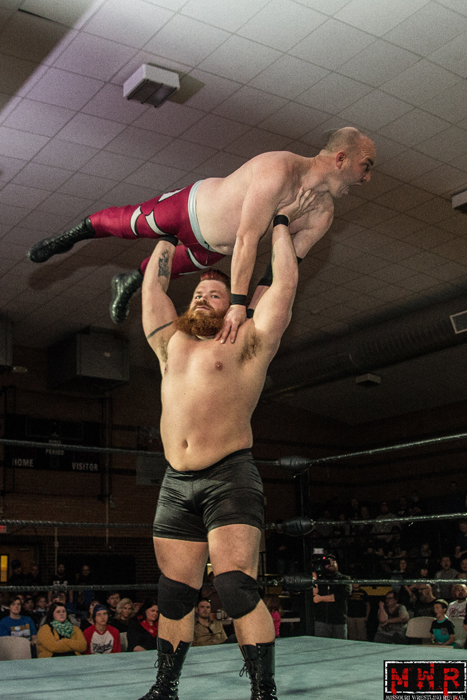 With great stories told more through wrestling than talking, new wrestlers with different styles most haven’t seen before, diverse highly entertaining performers, and an overall family friendly atmosphere High Risk Wrestling really delivered for its audience. 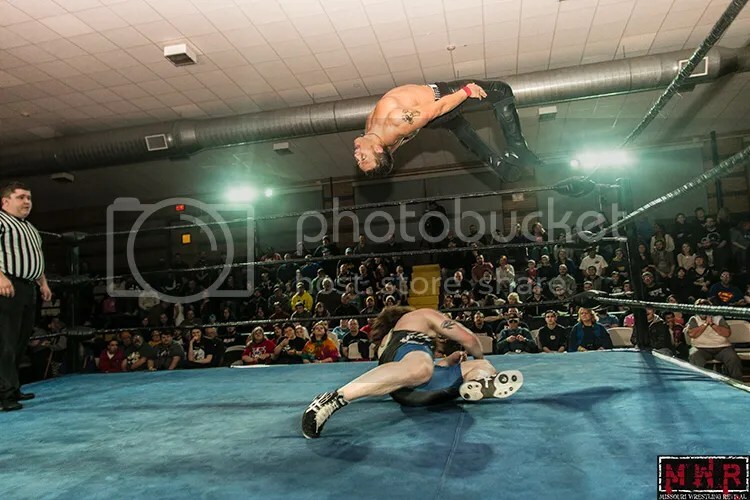 If this show is any indicator of the product Frank Thurman will continue to build on, his brand of wrestling is one we can expect many great shows from in the future. There is no doubt Warsaw Missouri has a new asset in their town. 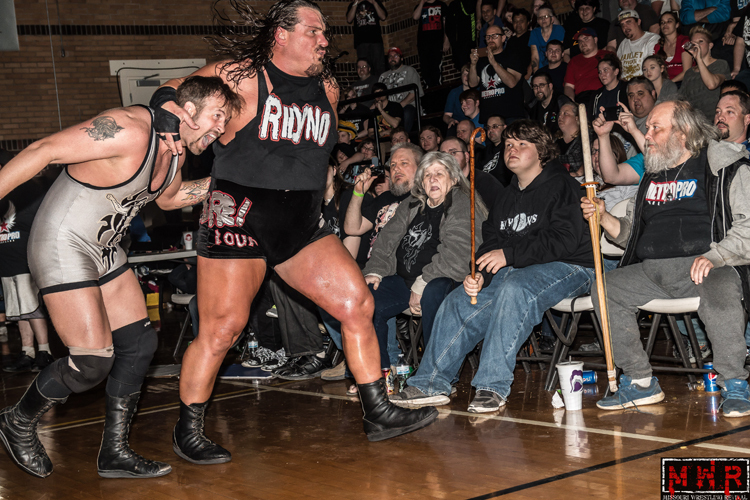 High Risk Wrestling Presents: “It’s good to be King!” on Saturday April 23rd in Warsaw, Missouri at The Knights of Columbus hall, with the doors opening at 6:00PM and the first bell at 7:00PM! At this time I am honored to announce a Very Special Legend who will be available for you to meet and get autographs from! 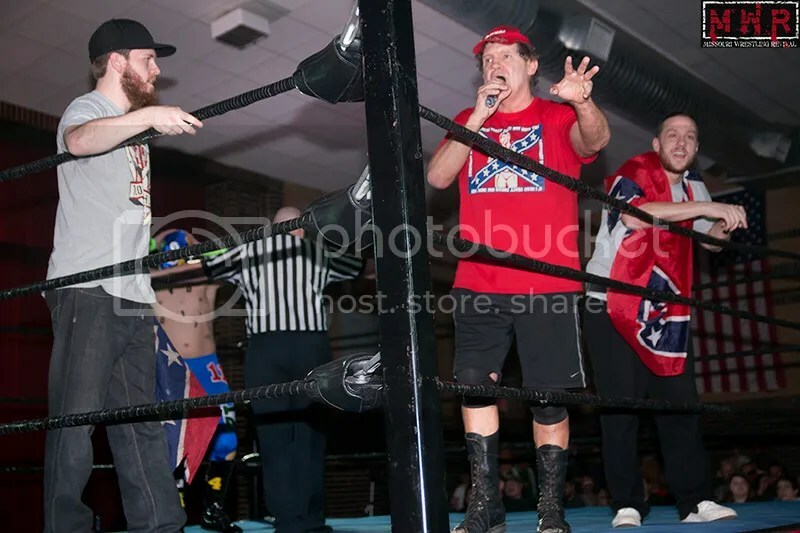 Former WWE, ECW, WCW, NWA, SMW Superstar, “The Wild Eyed Southern Boy” Tracey Smothers! All tickets are just $15 each for reserved ringside! Advanced tickets are available at The Warsaw Chamber of Commerce in the Town Square! 6:00PM Doors and 7:00PM Bell!